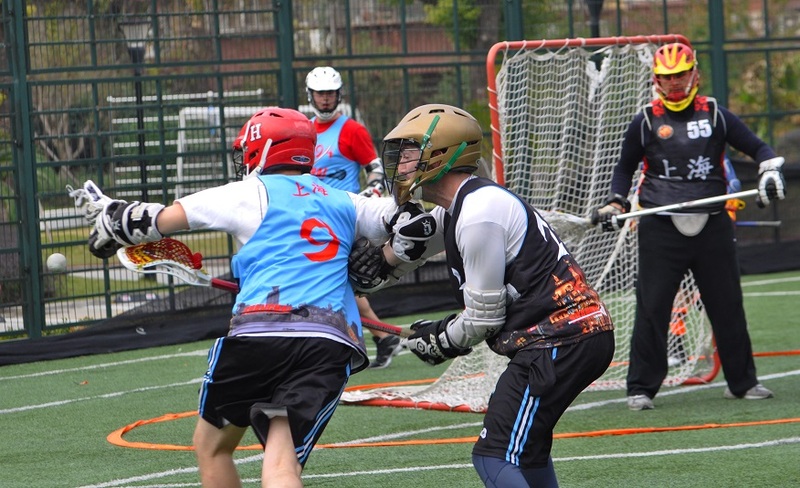 With many of the league’s super stars absent, this week was a great opportunity for some of our new, up and coming stars to show off their stuff. 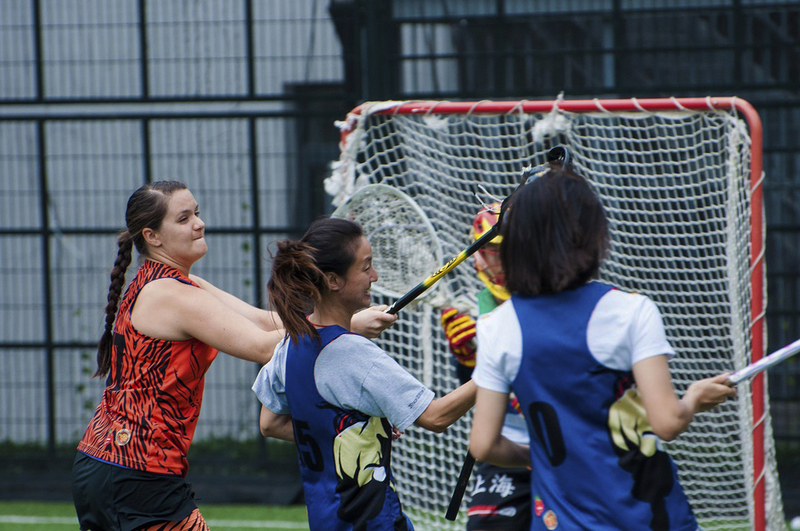 The dragons were worried that the absence of Halyey Fix, who was busy taking beautiful pictures in Hong Kong, would give the Tigers the advantage they would need to break the Dragons winning streak. 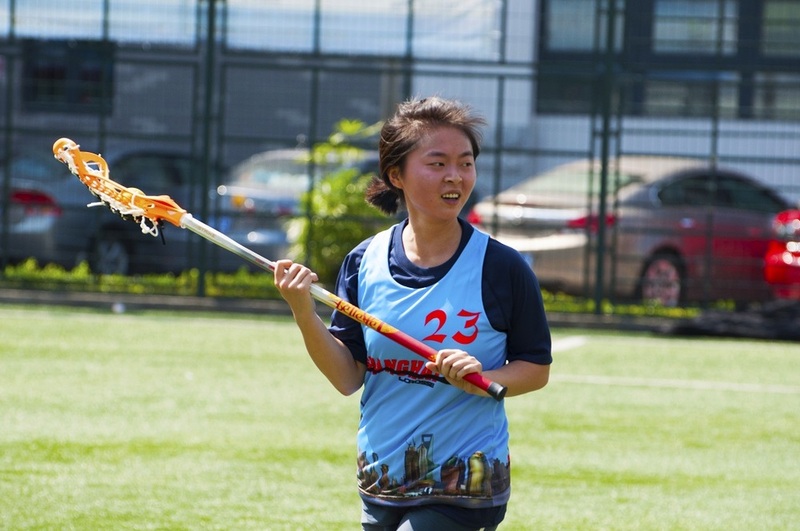 New to the game, Shopie Hu, lead the team with 4 goals. 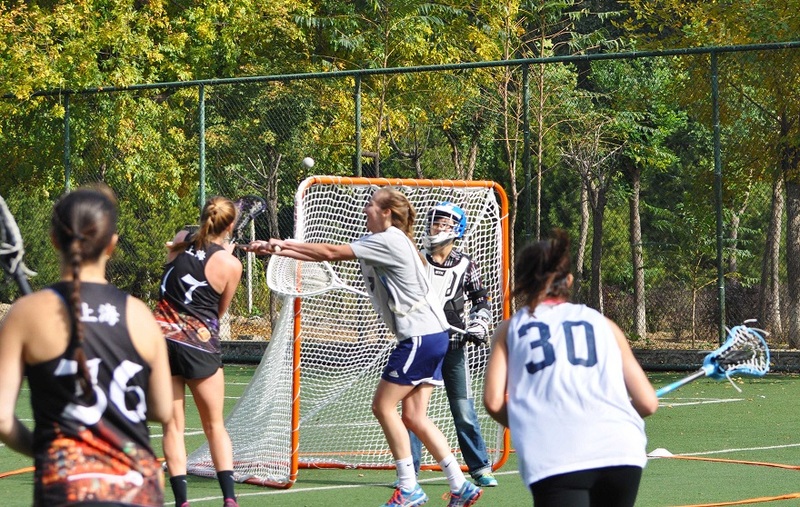 Her speed and tenacity kept bringing her to the net. 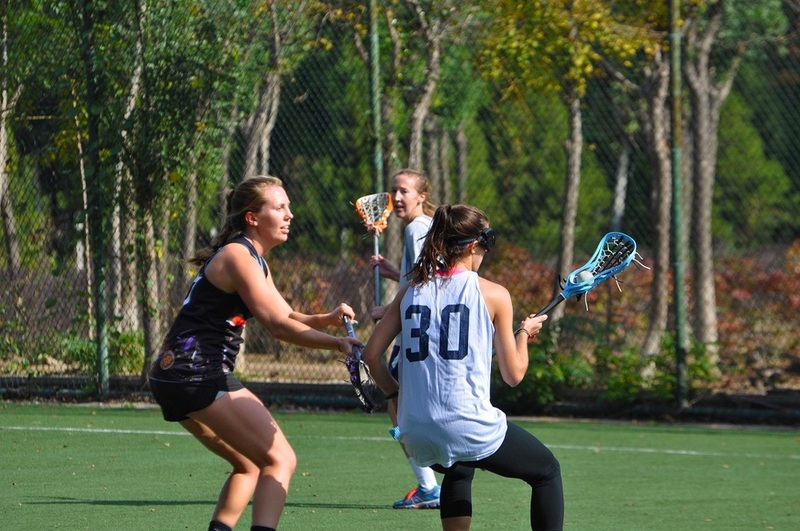 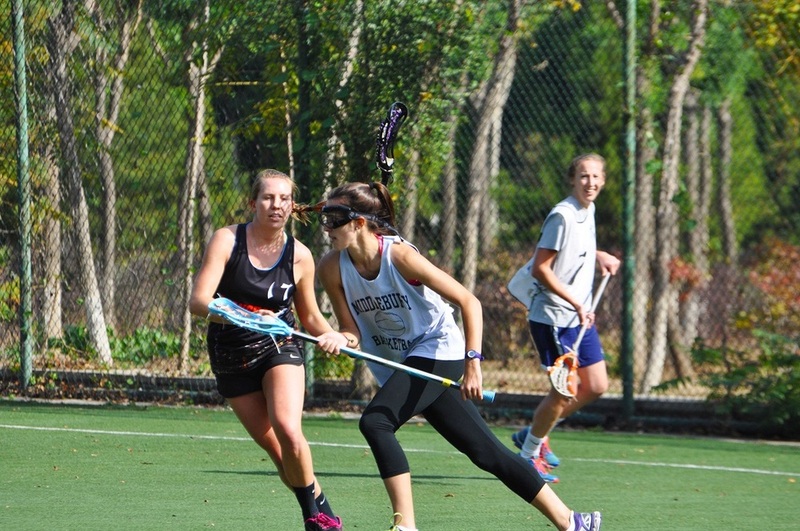 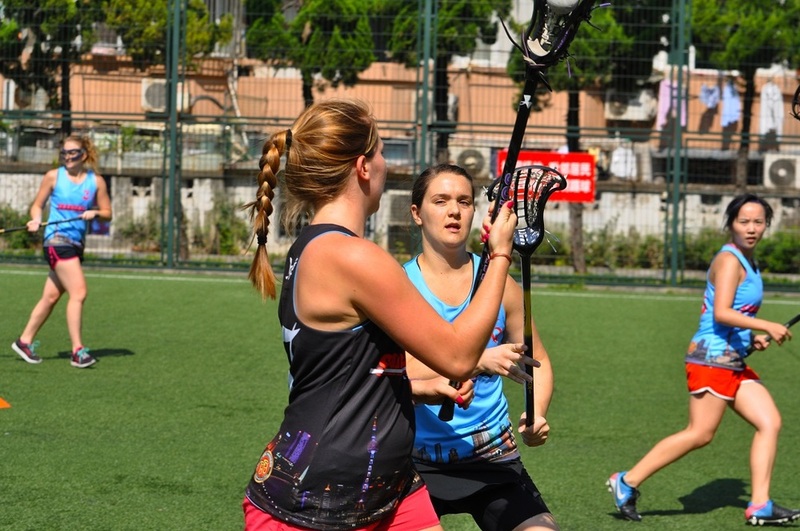 Suzanne Van Balveren had a great game with 5 (recorded) ground balls and 3 goals. 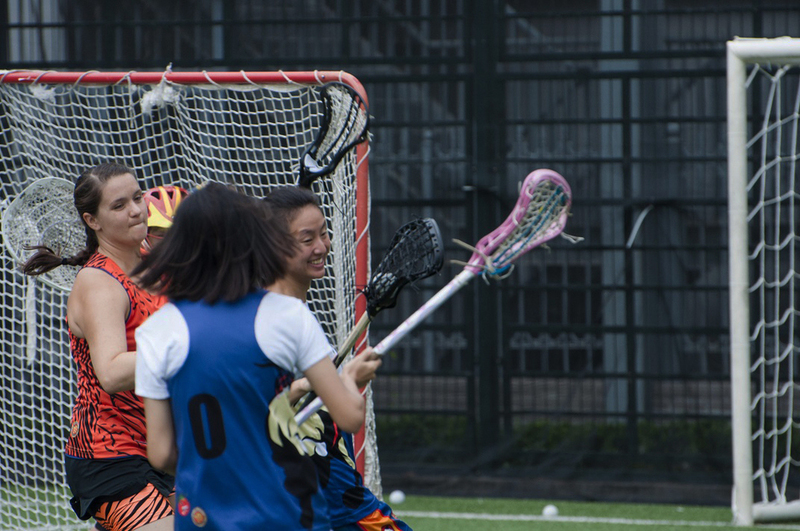 Lesley Wang scored her first goal of the season! 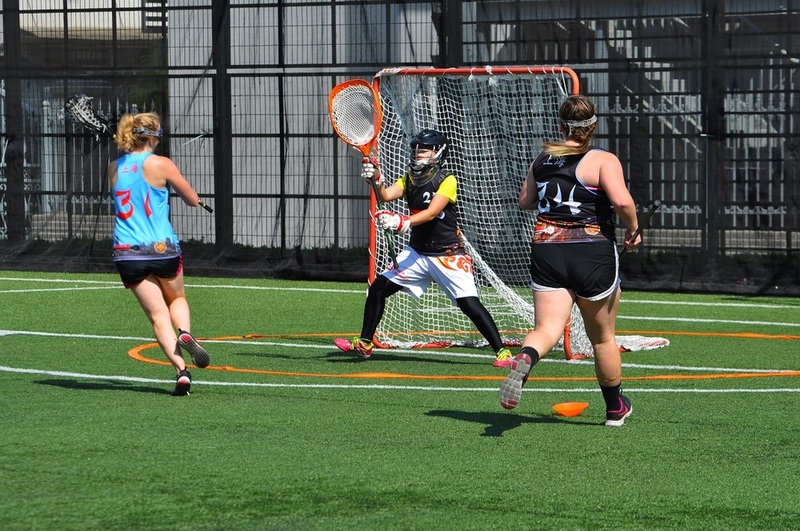 Jesse Porter and Sarah Smith each tried their best in net for a half. 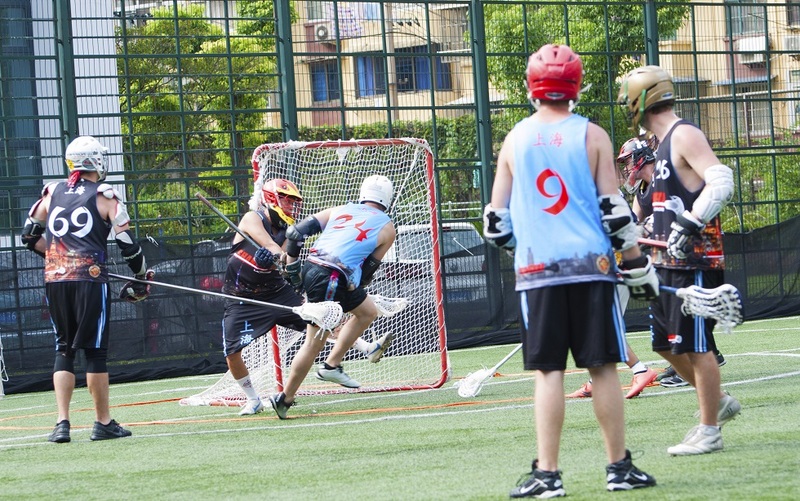 However, the Tigers didn't make this win an easy one for the Dragons. 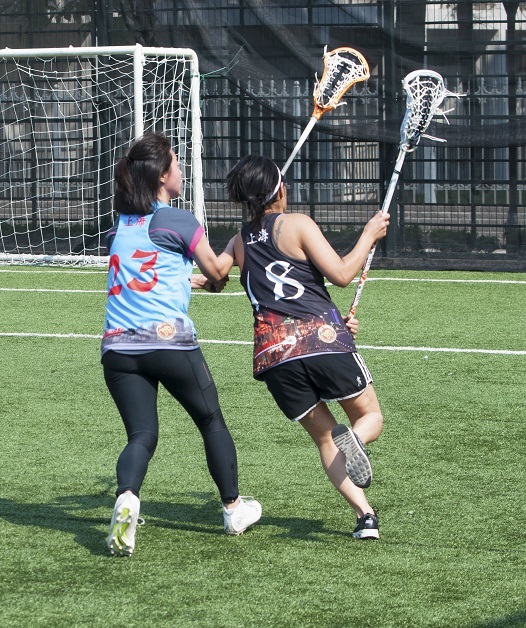 Brenda Dai played some great man to man D, denying many of the Dragon’s cuts. 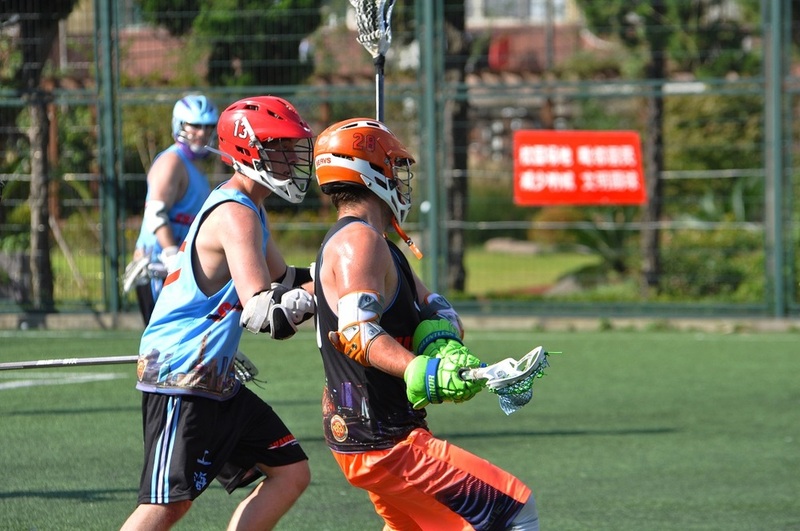 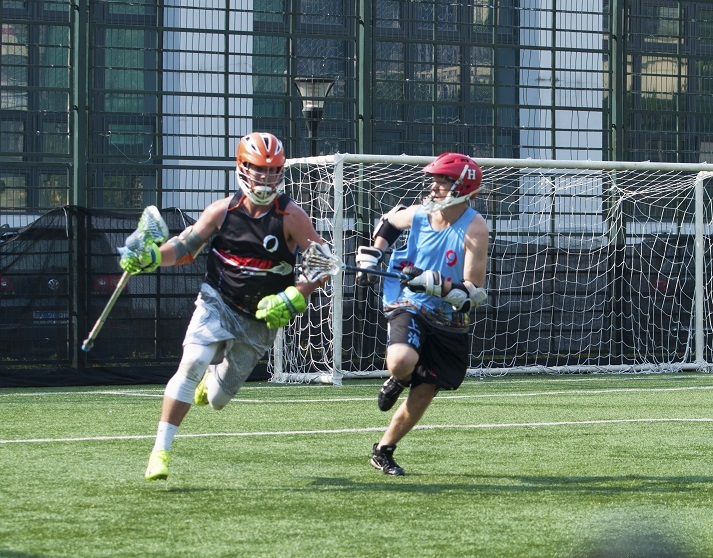 Graeme Durovich was a threat on offence with 3 goals. 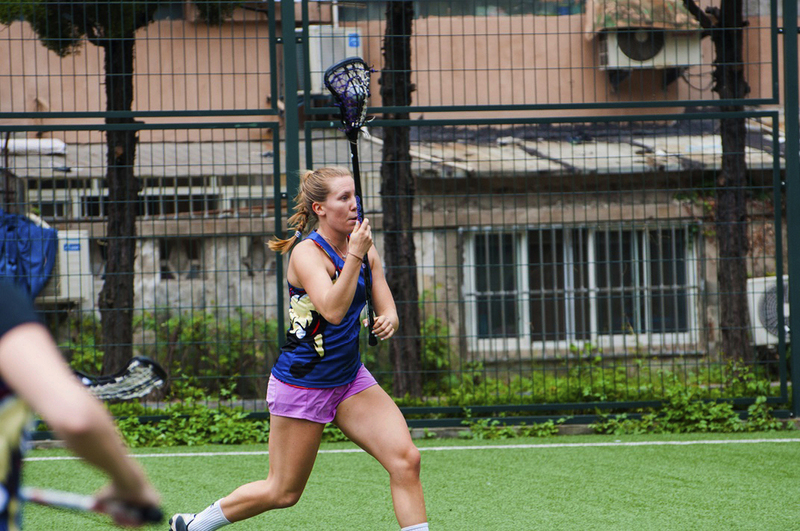 Christine Haas (1G) surprised the Dragons with her sneaky picks and roll shots. 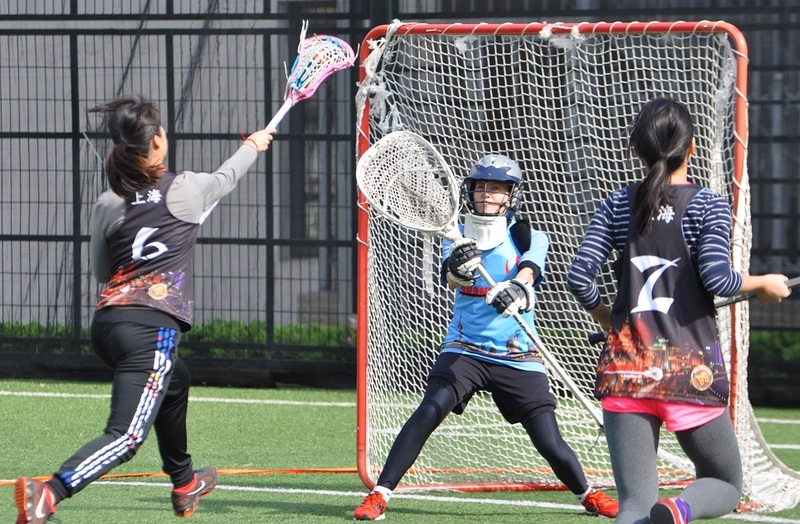 Sara Min had a strong game in net. 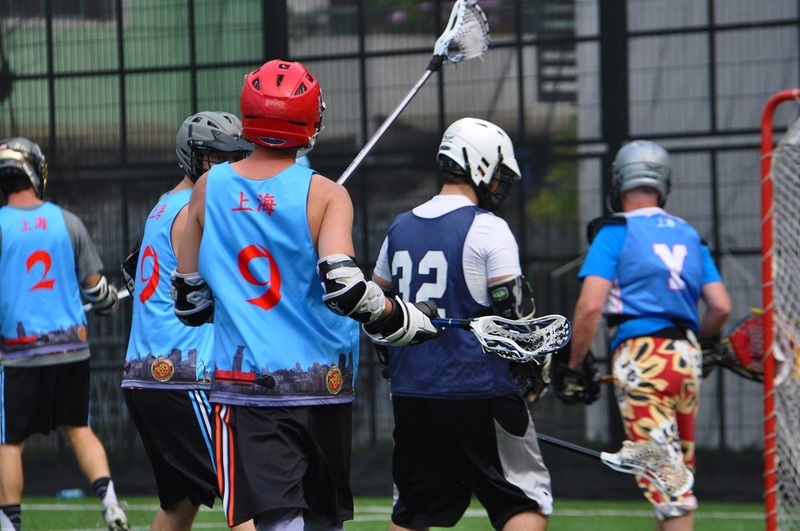 The final score was 11-5 for the Dragons. 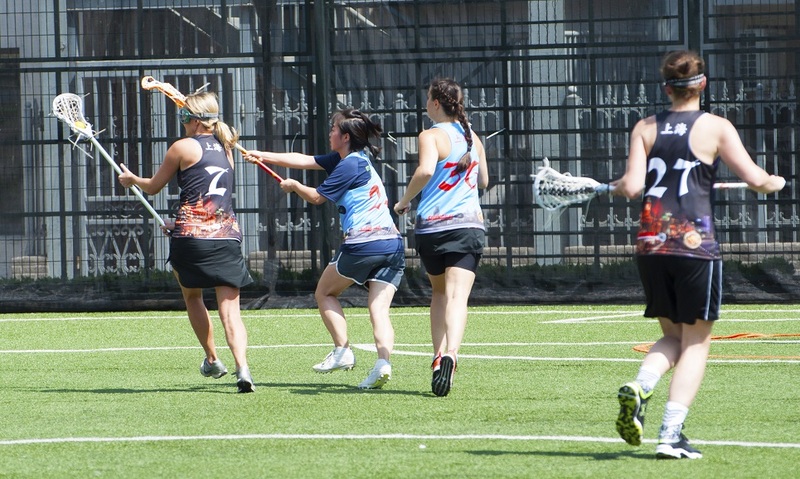 Big thanks to our referees and table officials for working hard every weekend. 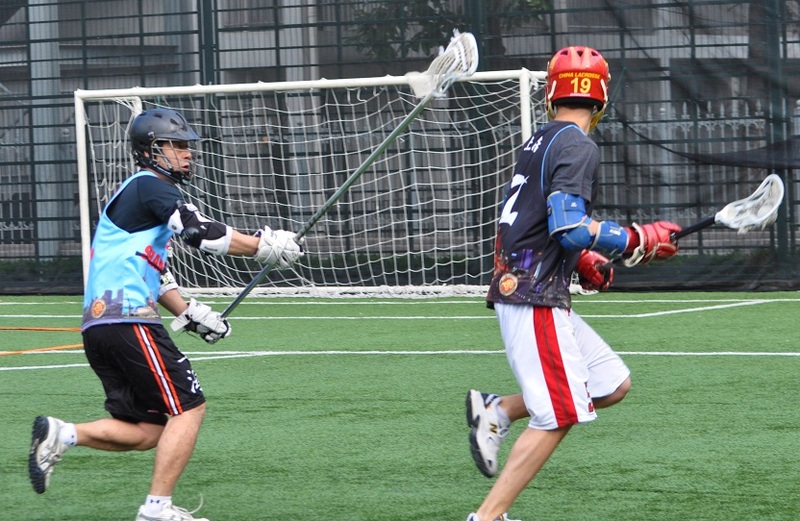 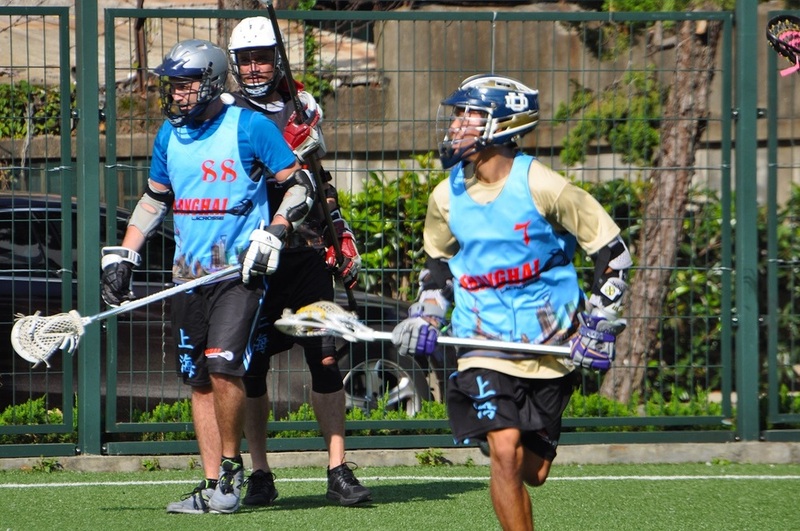 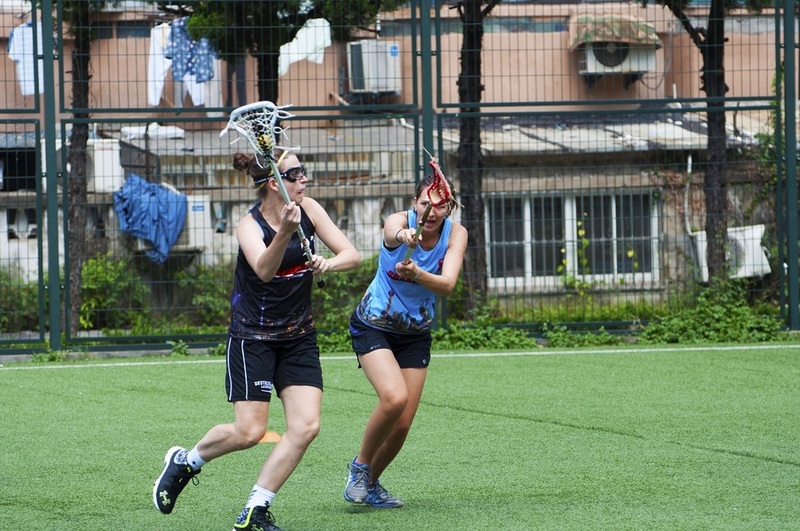 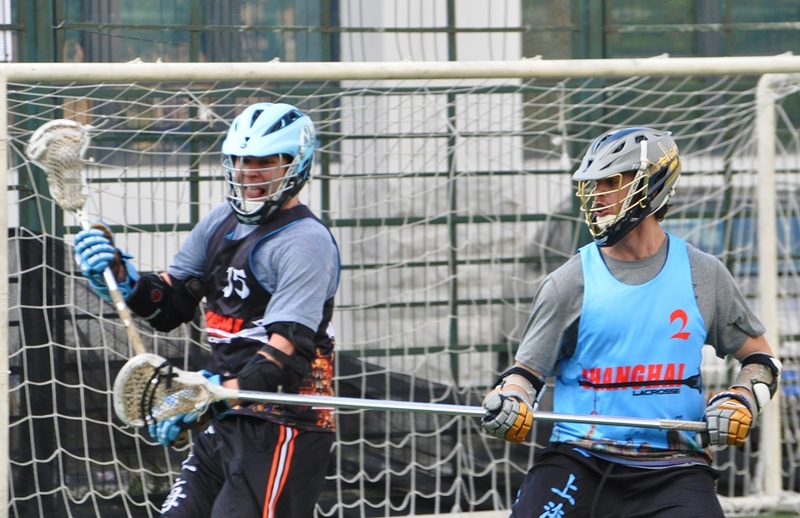 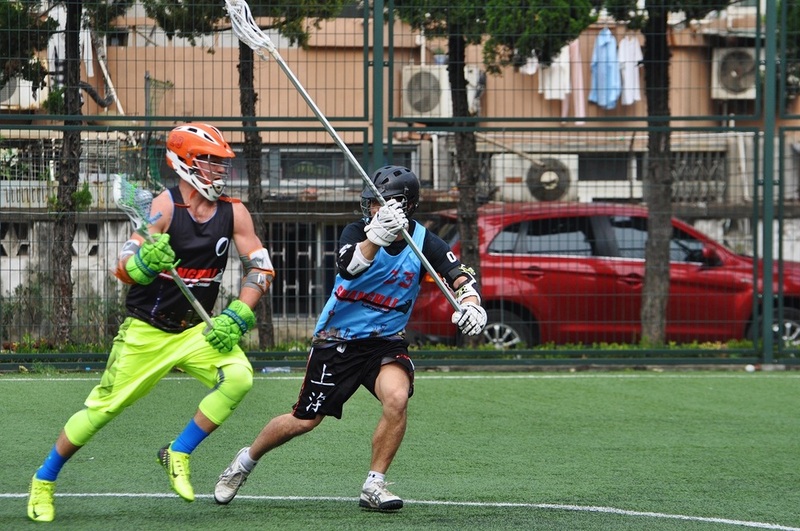 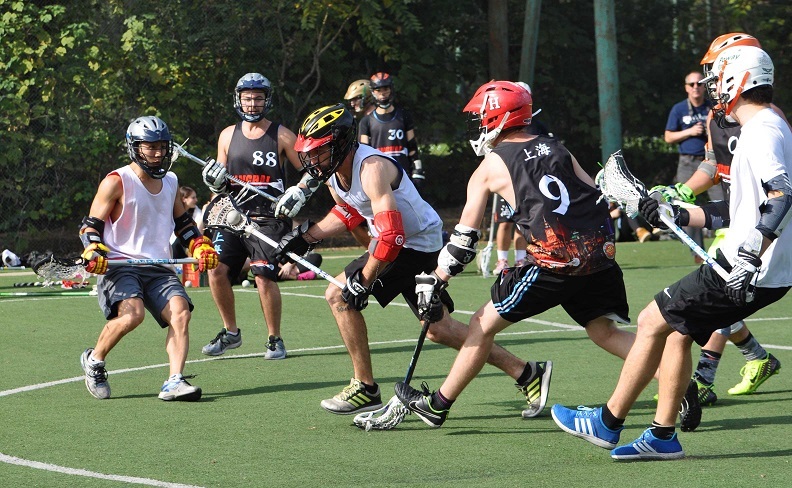 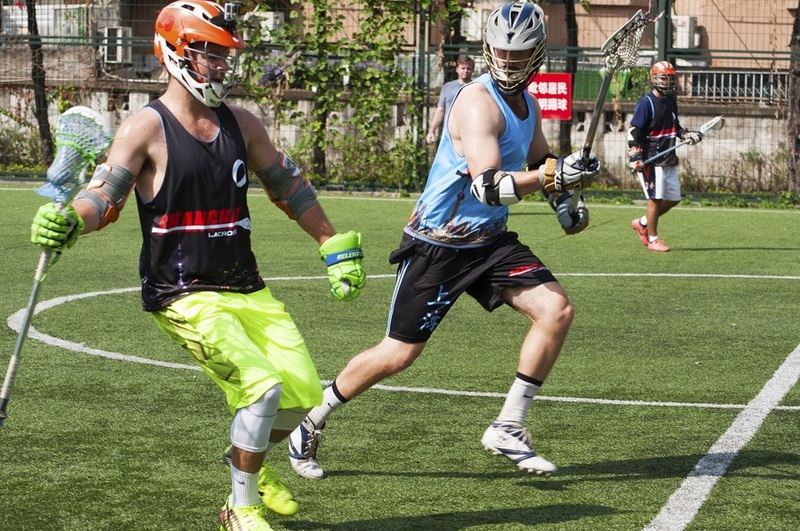 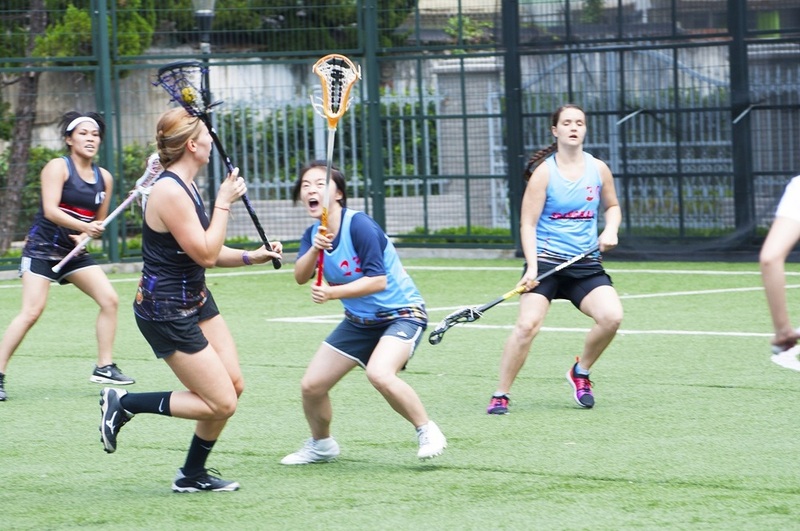 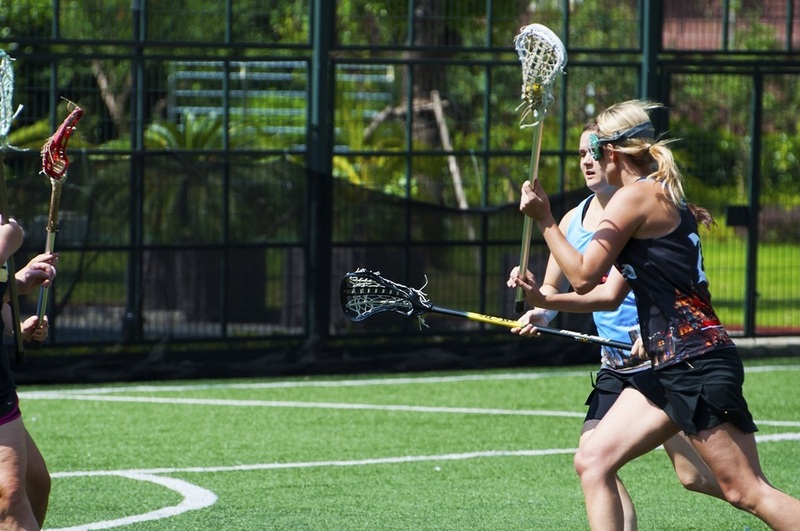 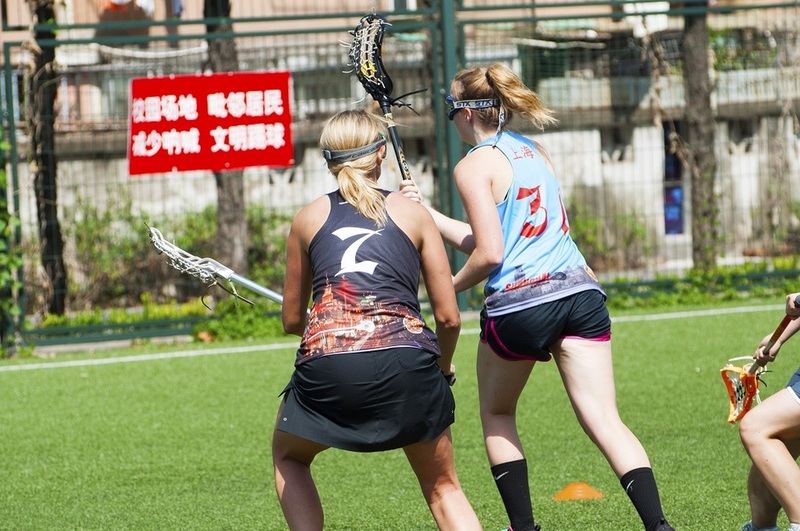 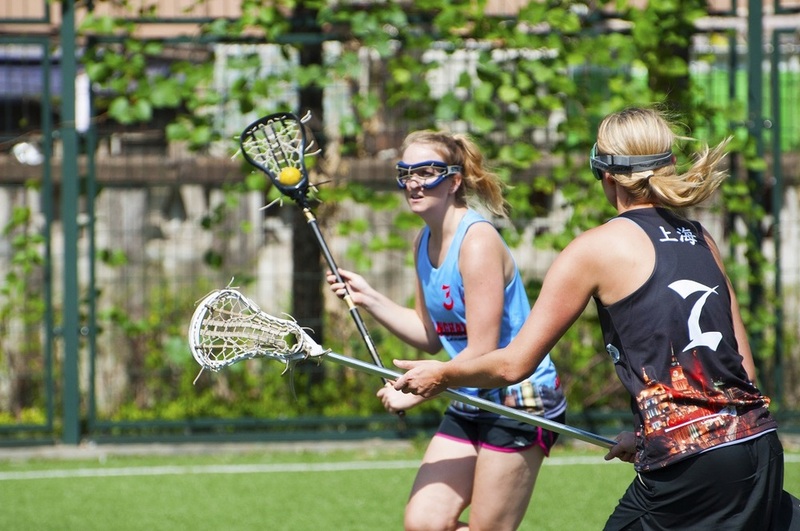 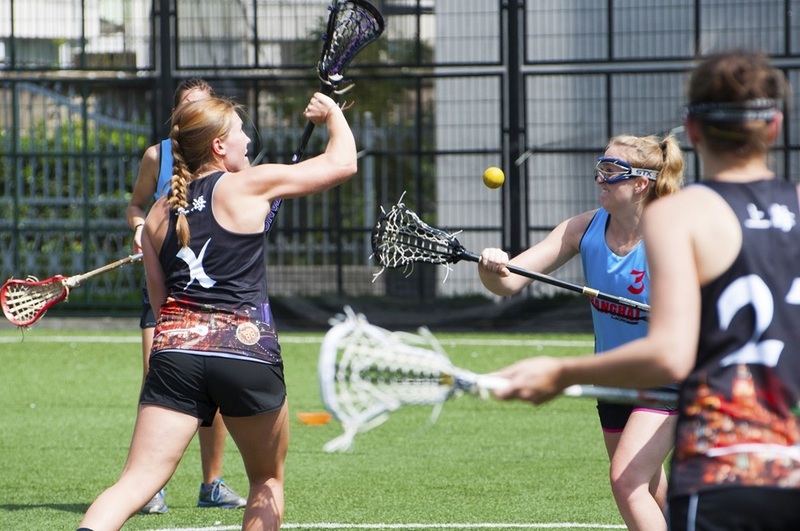 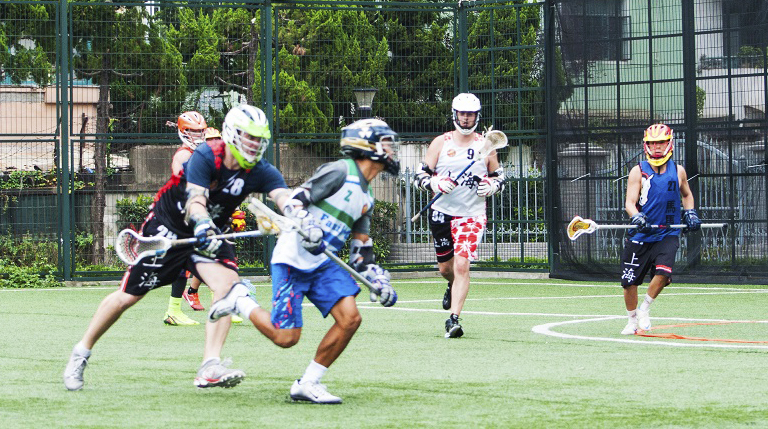 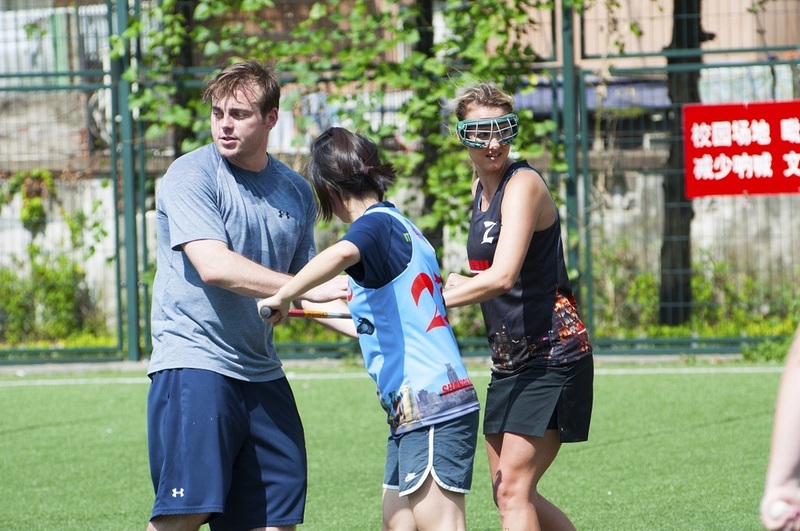 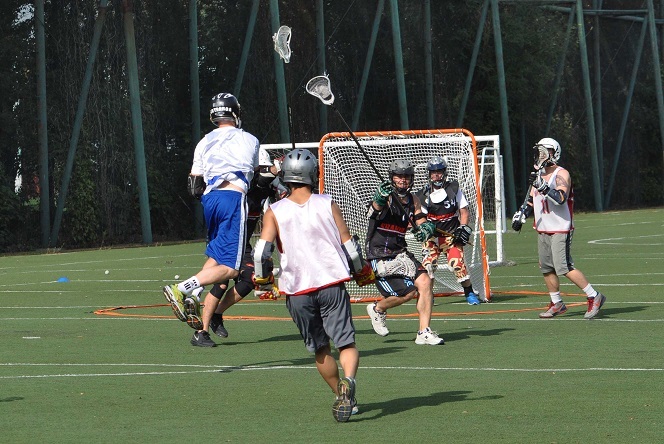 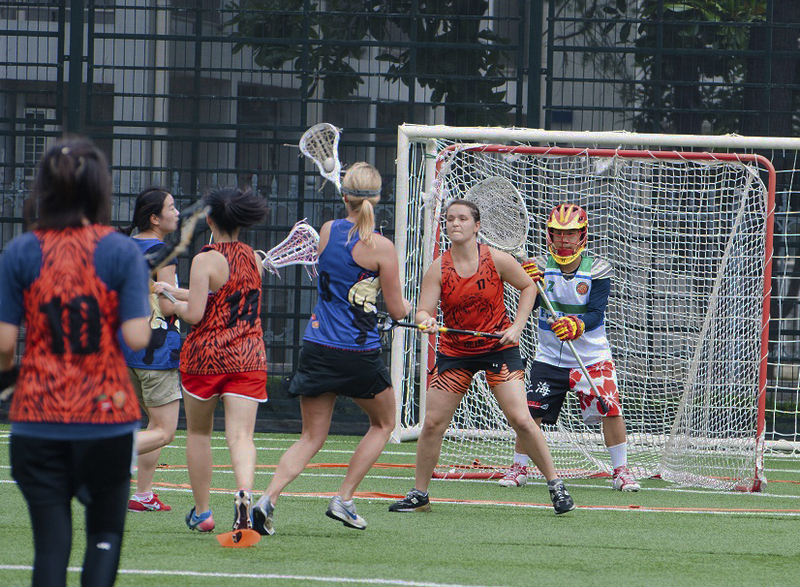 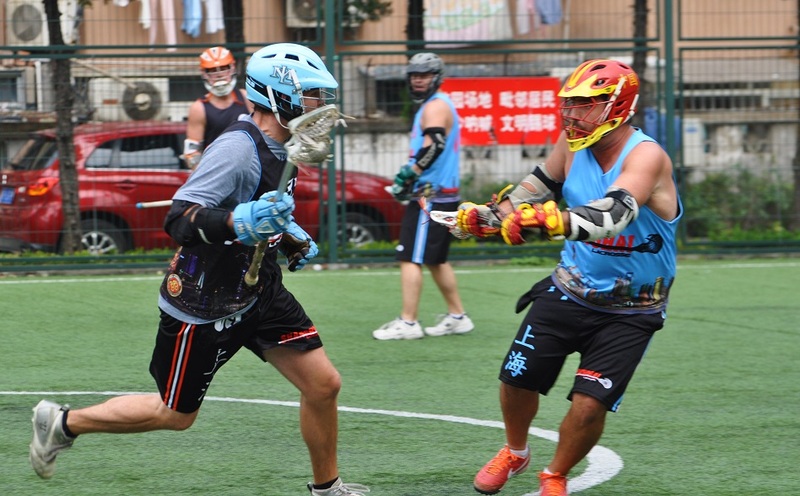 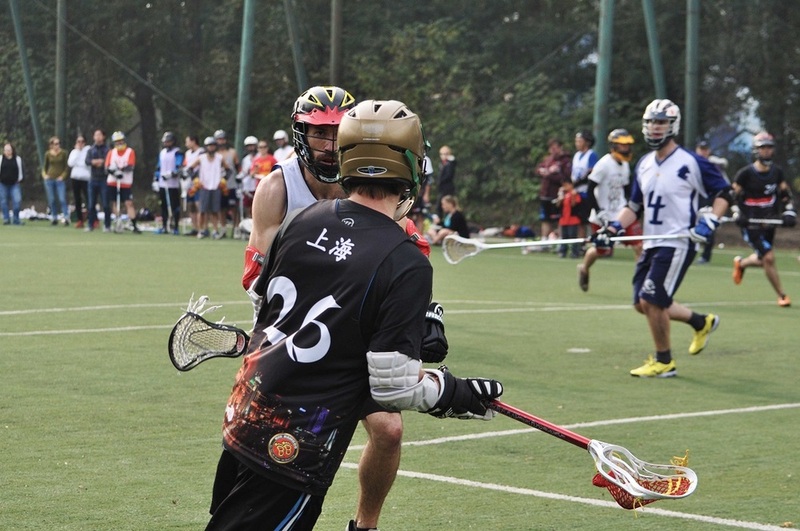 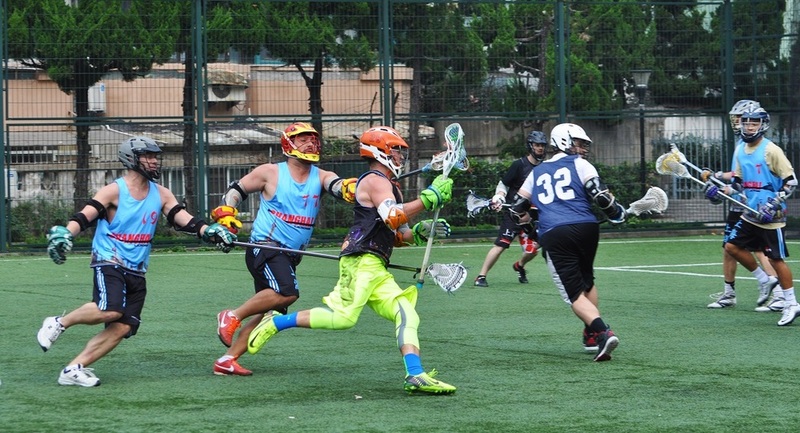 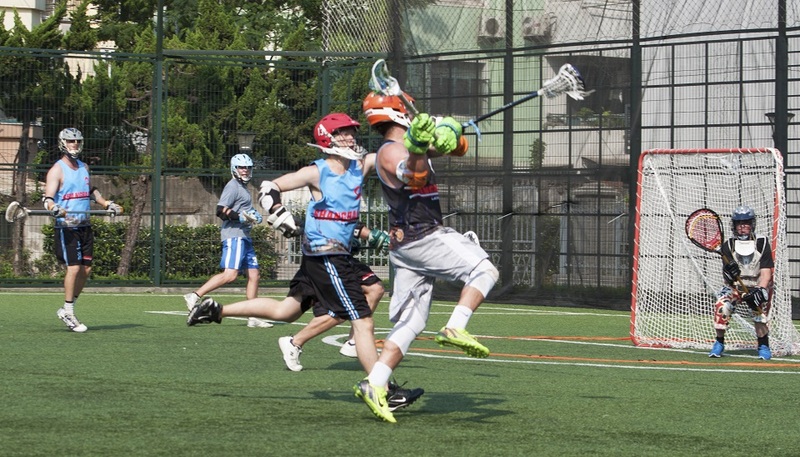 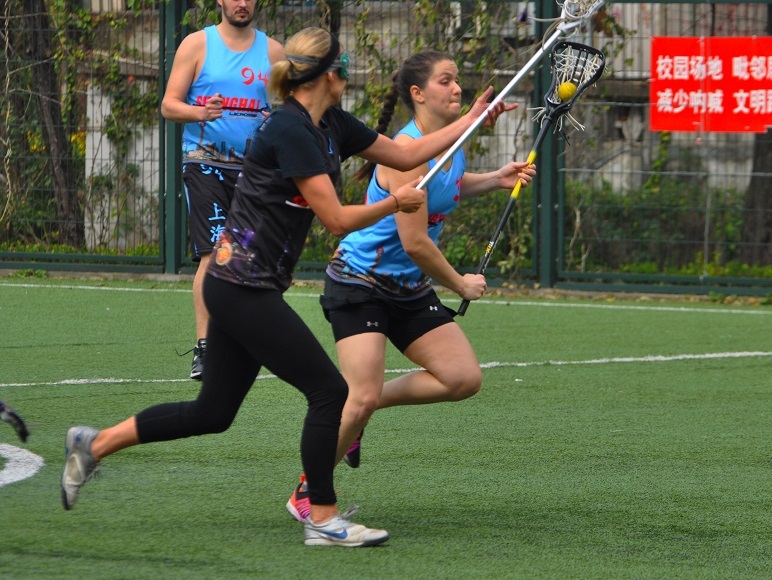 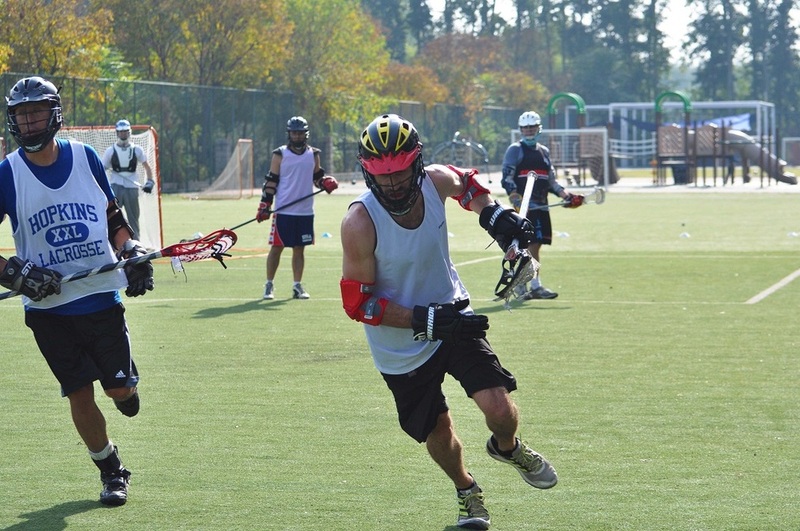 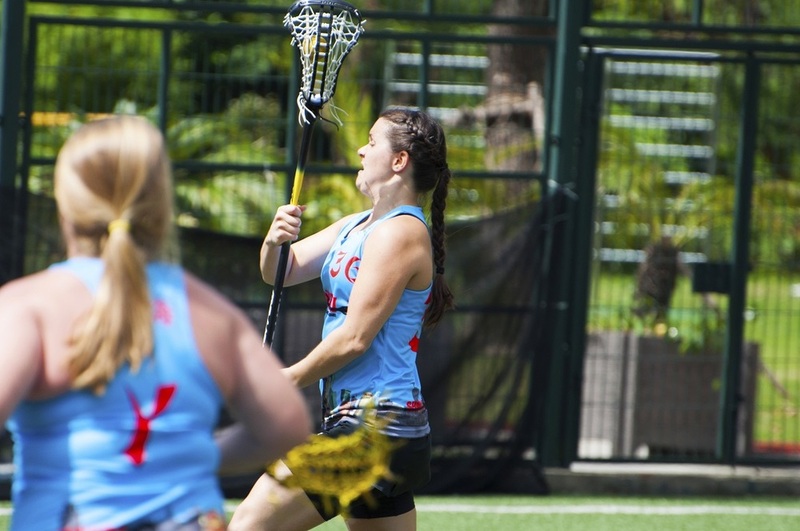 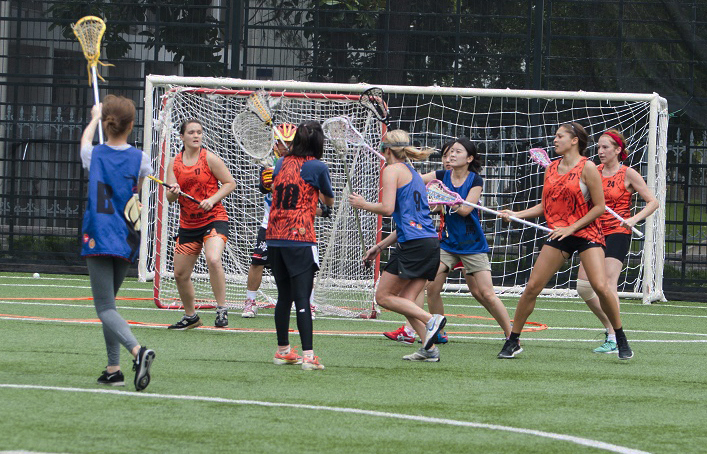 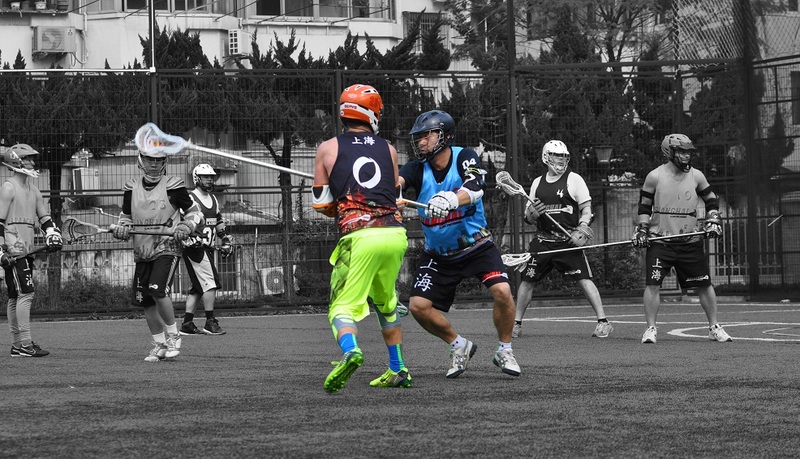 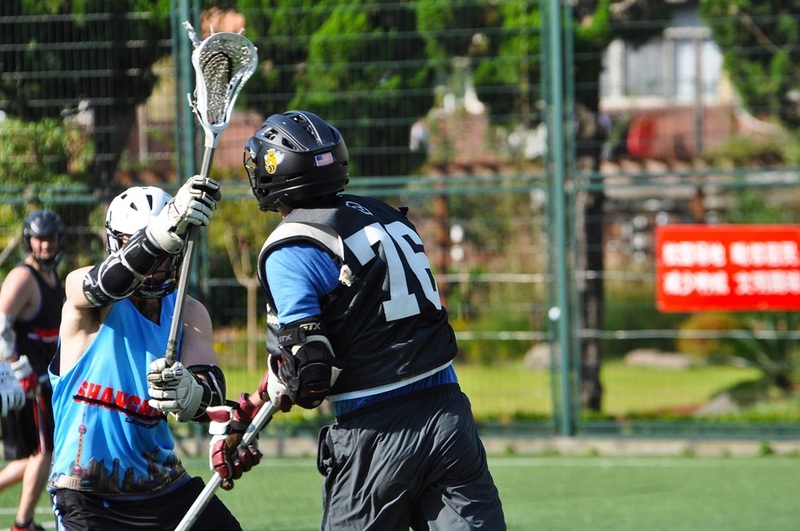 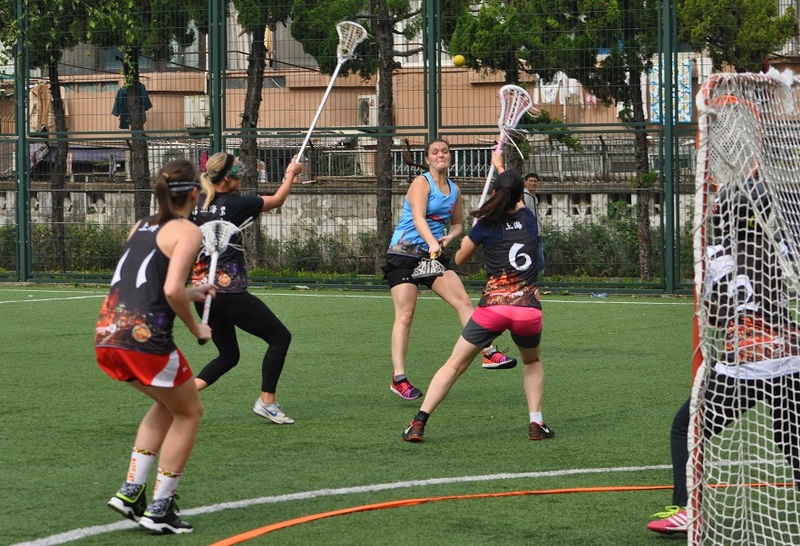 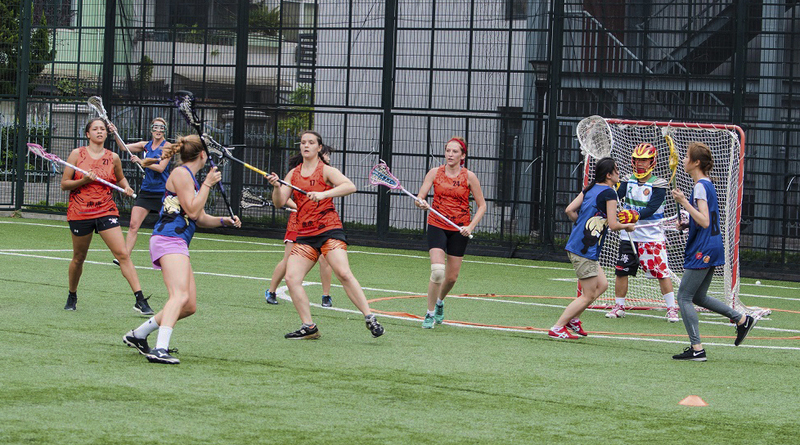 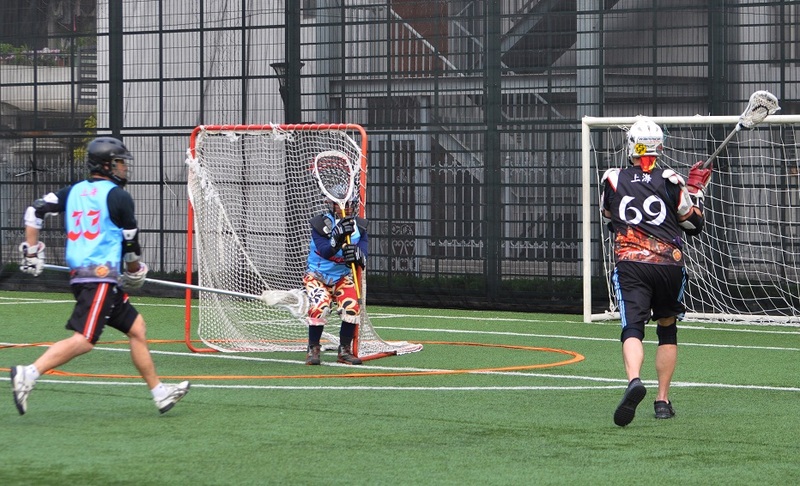 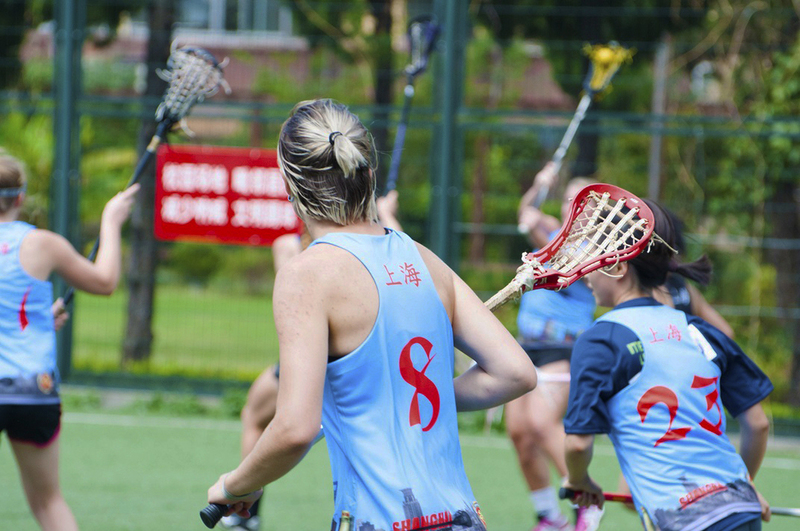 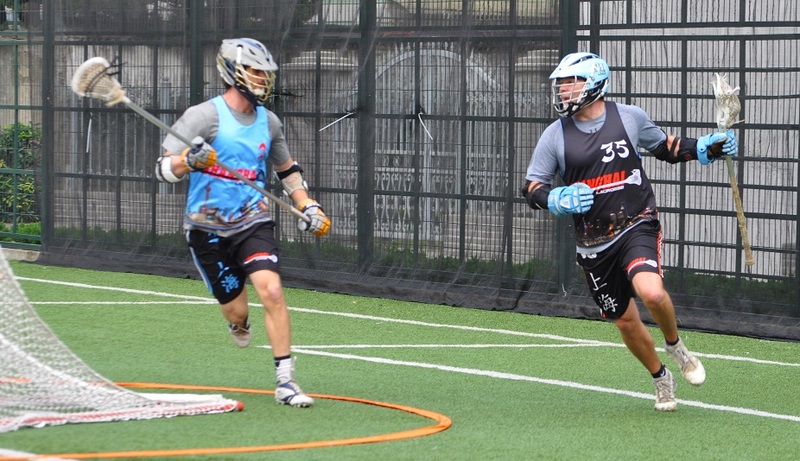 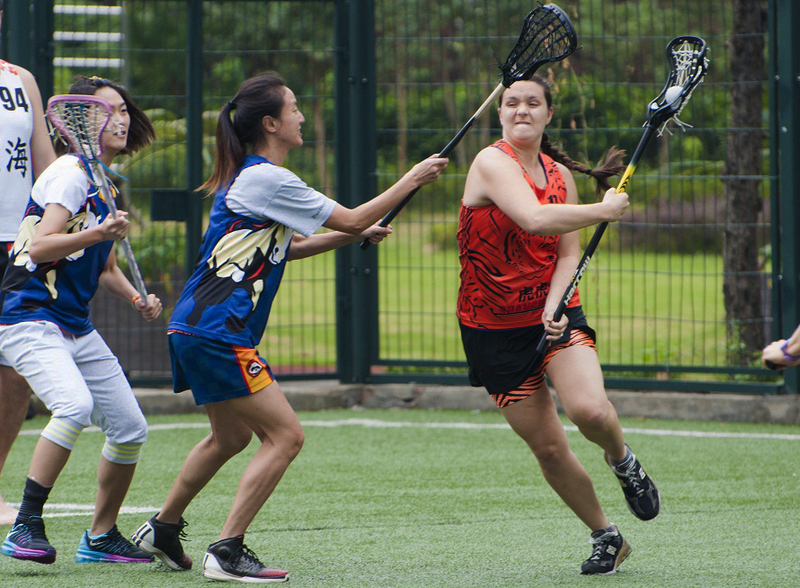 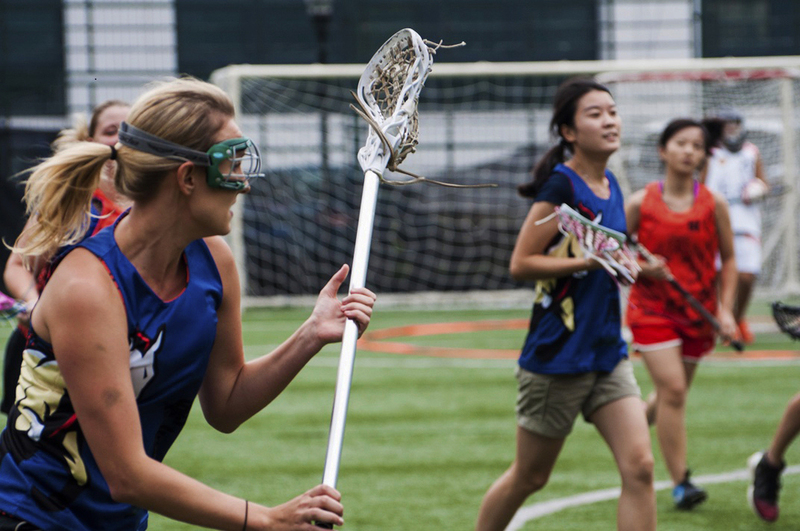 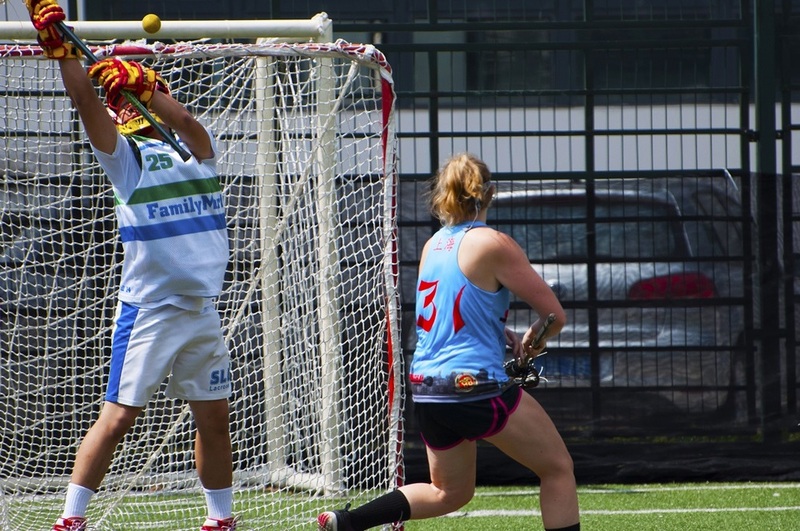 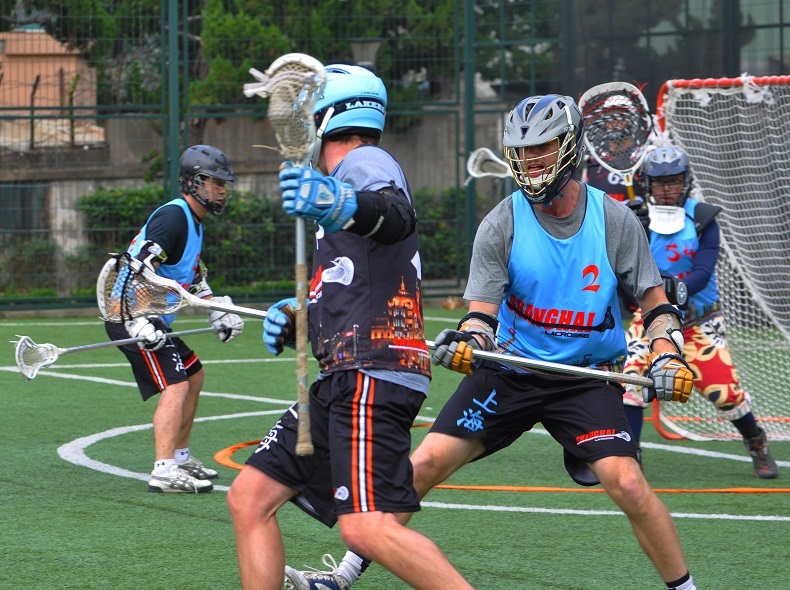 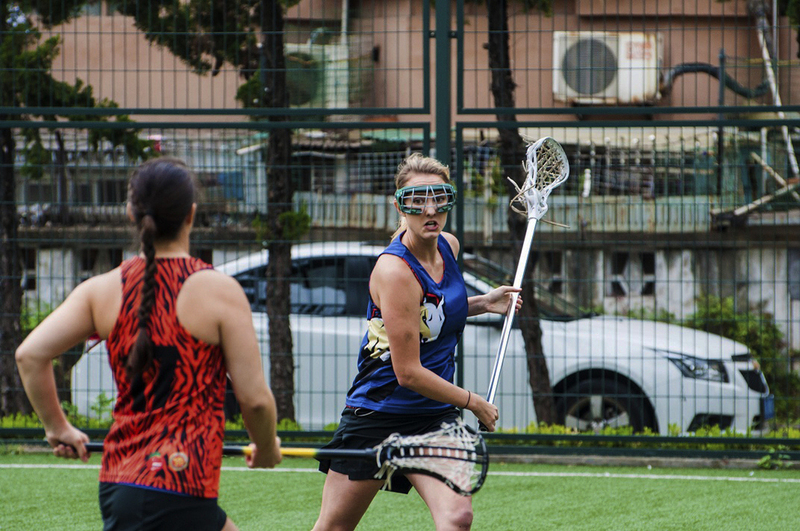 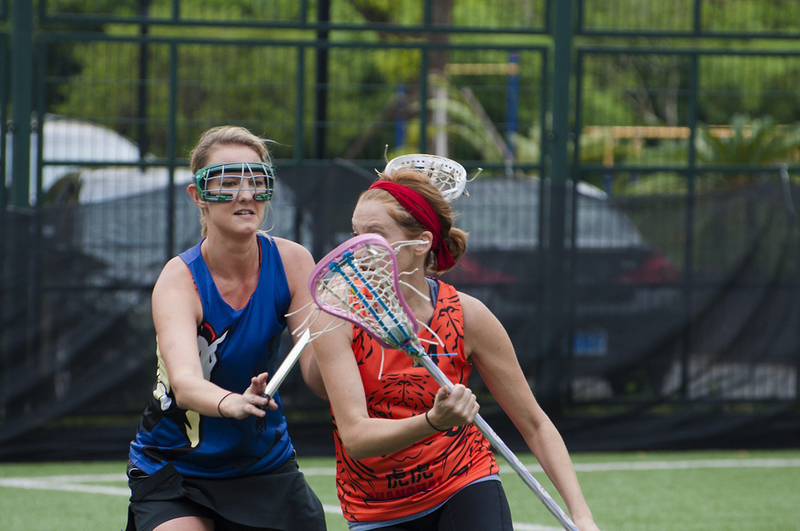 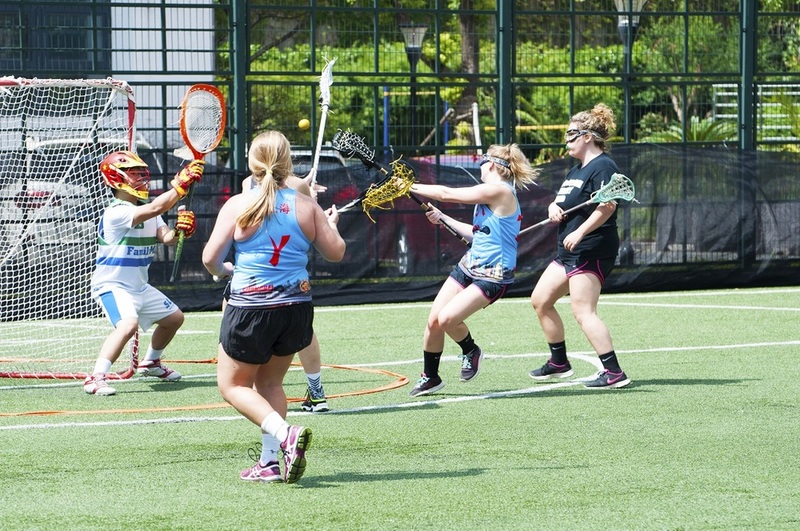 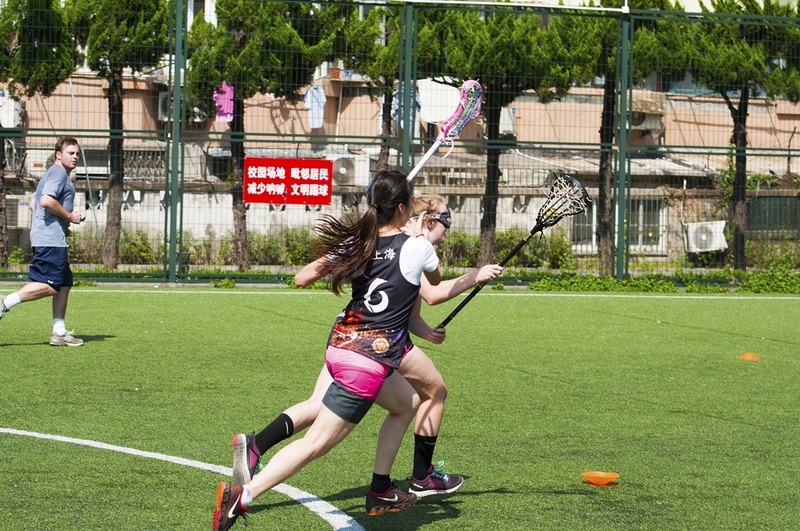 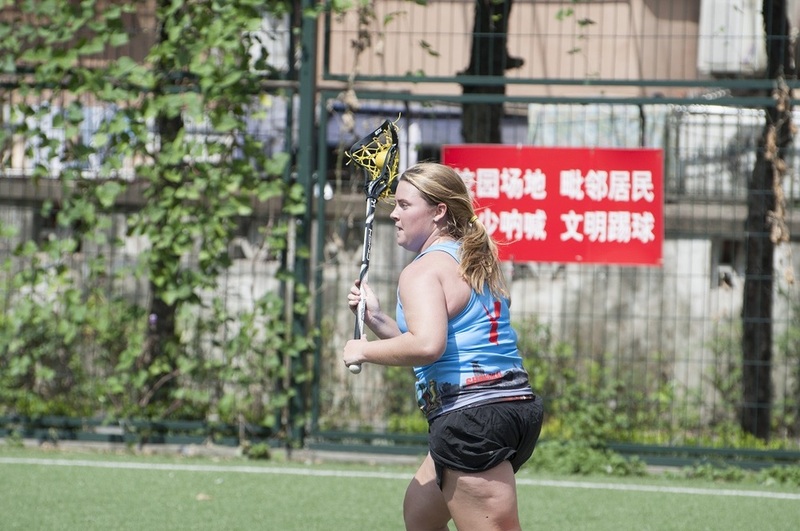 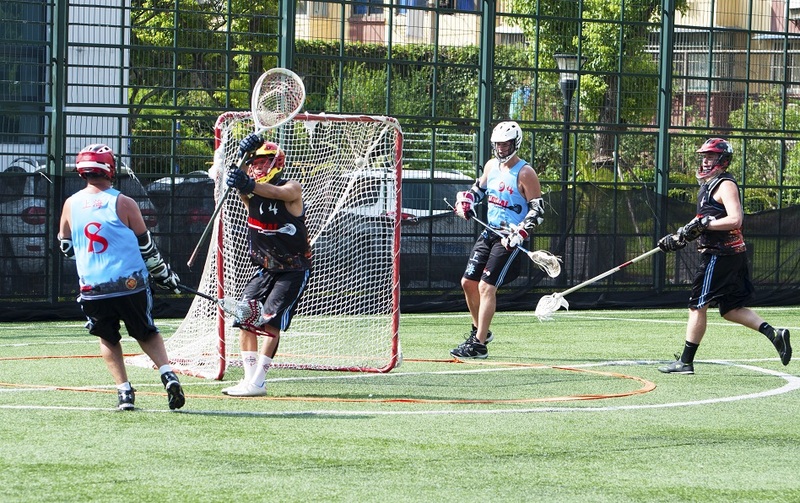 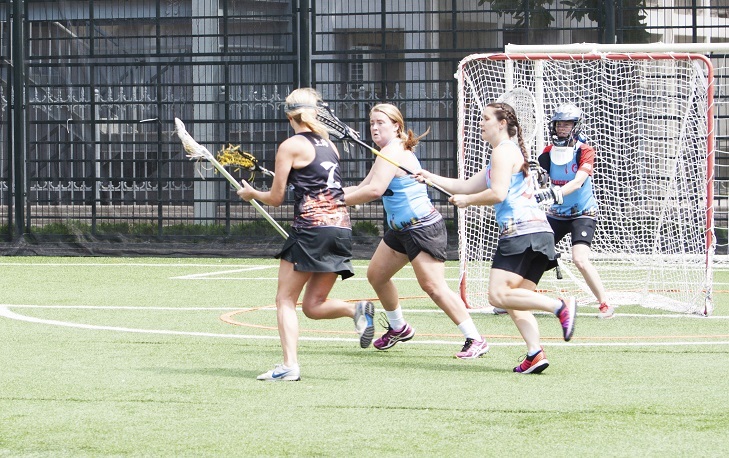 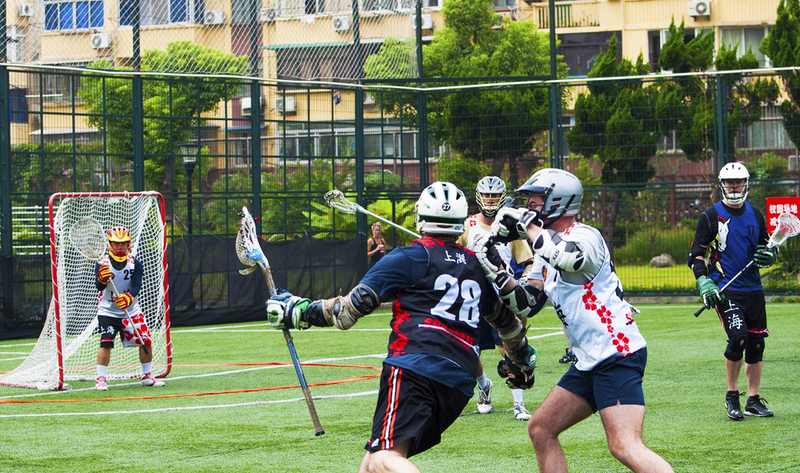 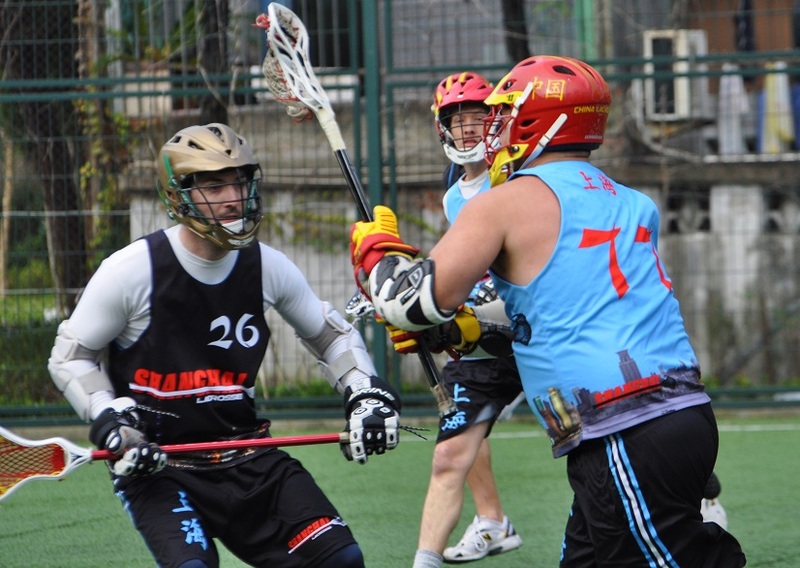 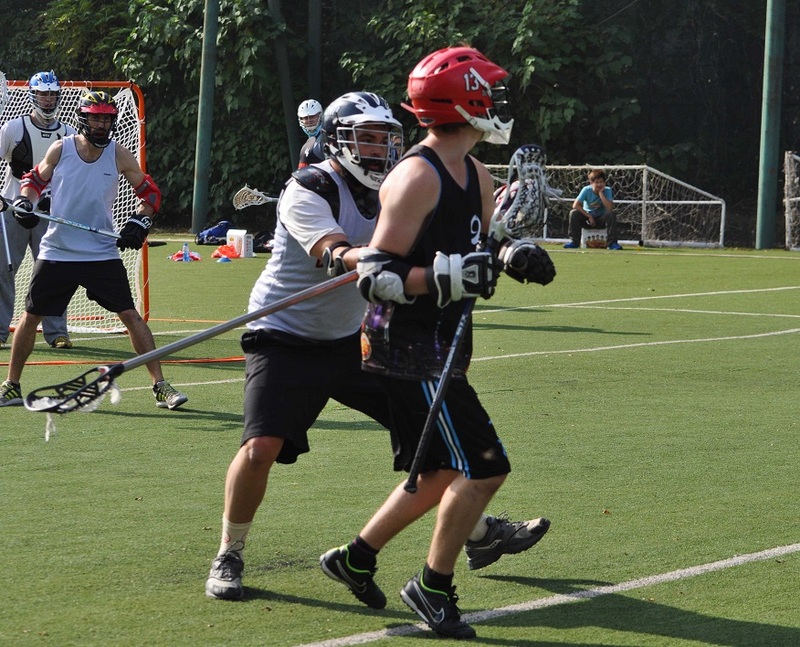 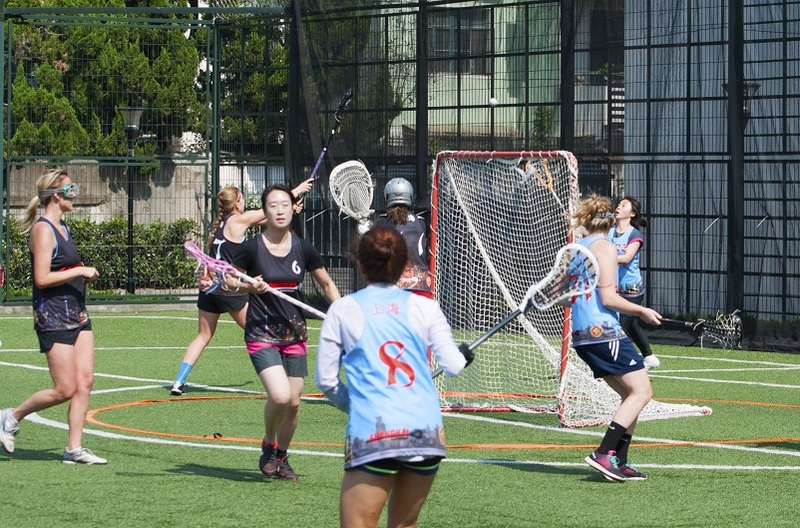 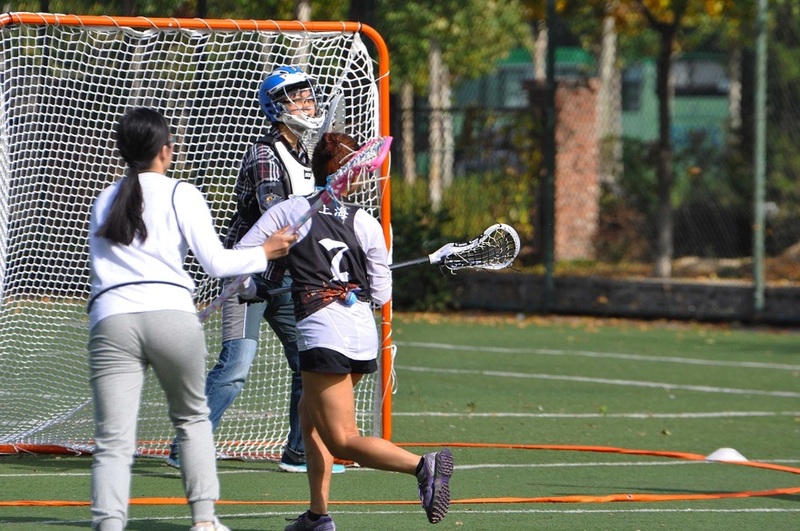 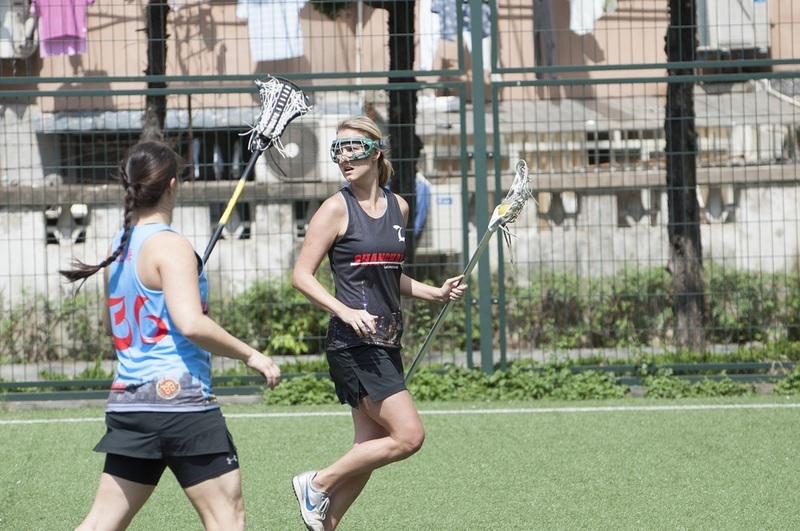 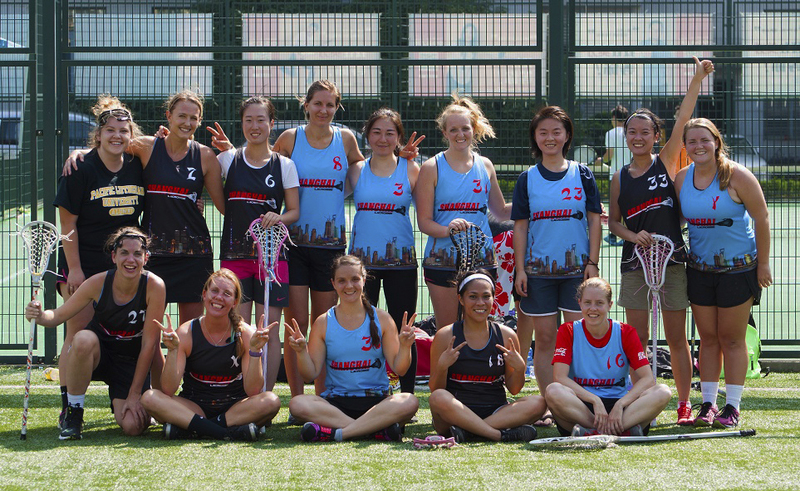 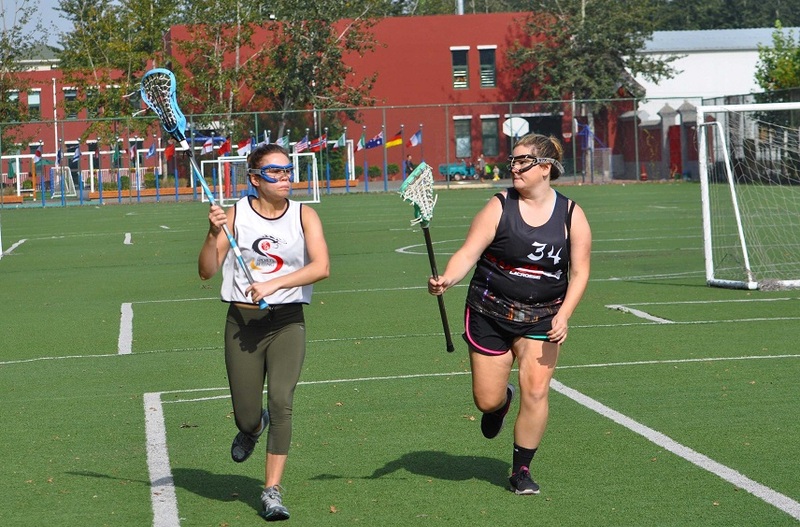 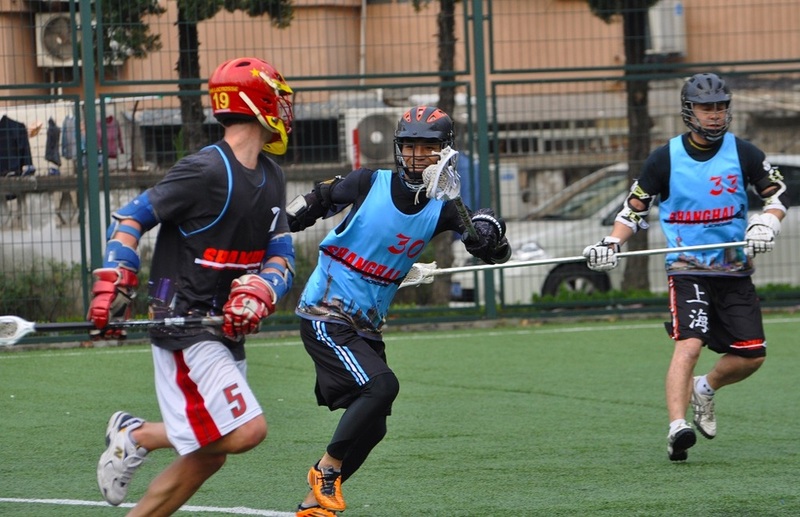 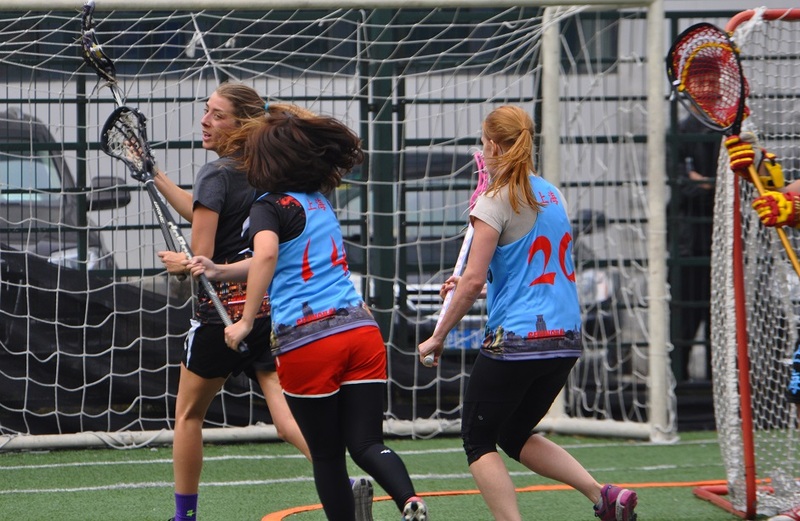 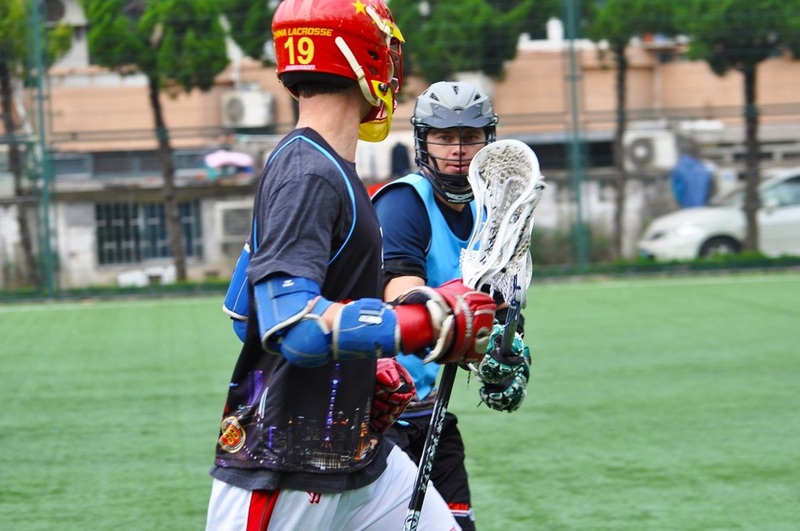 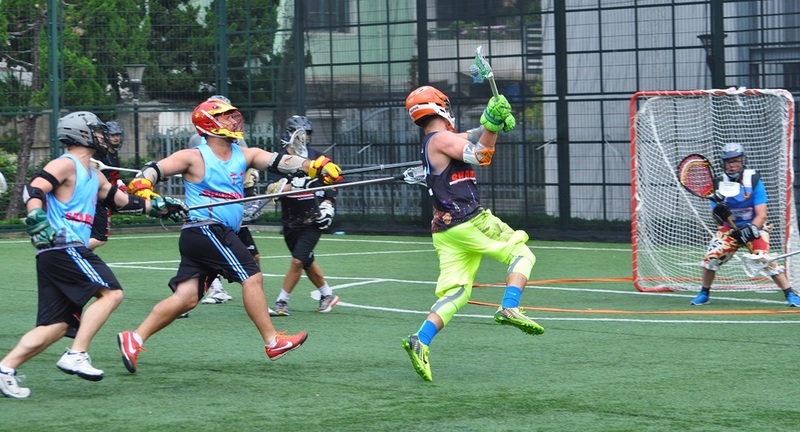 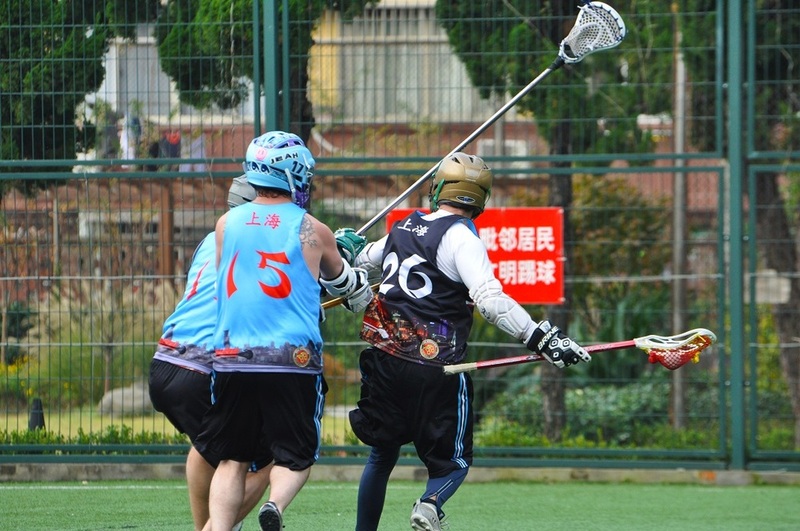 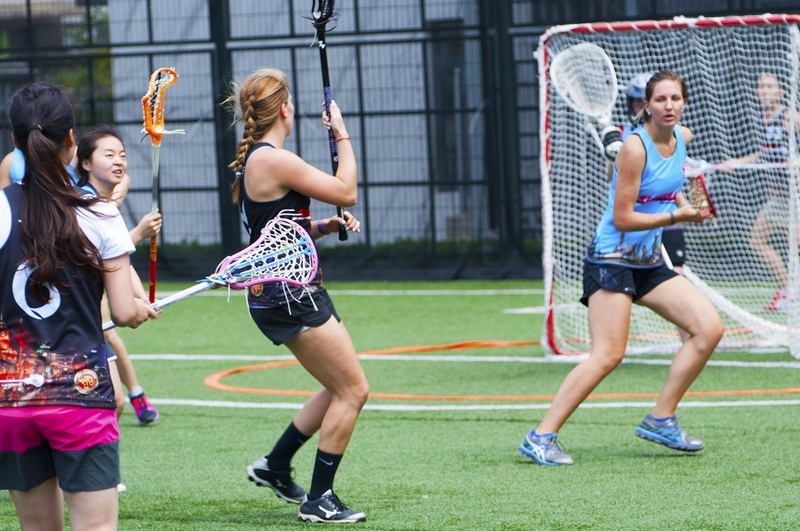 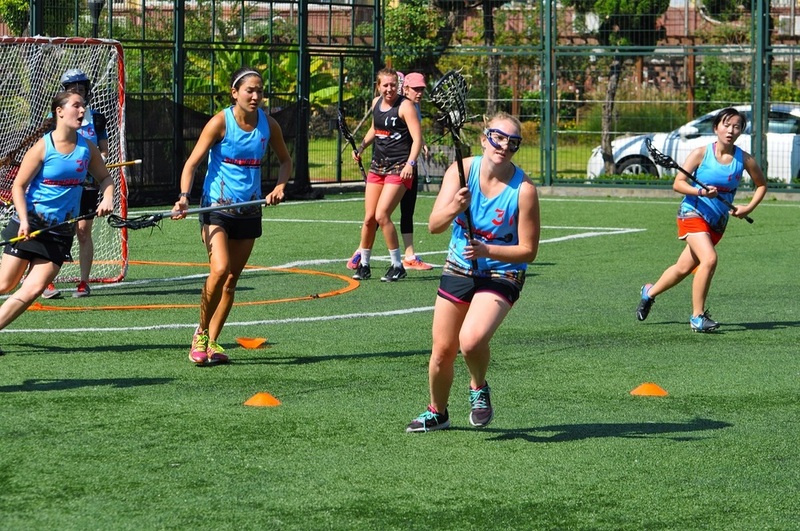 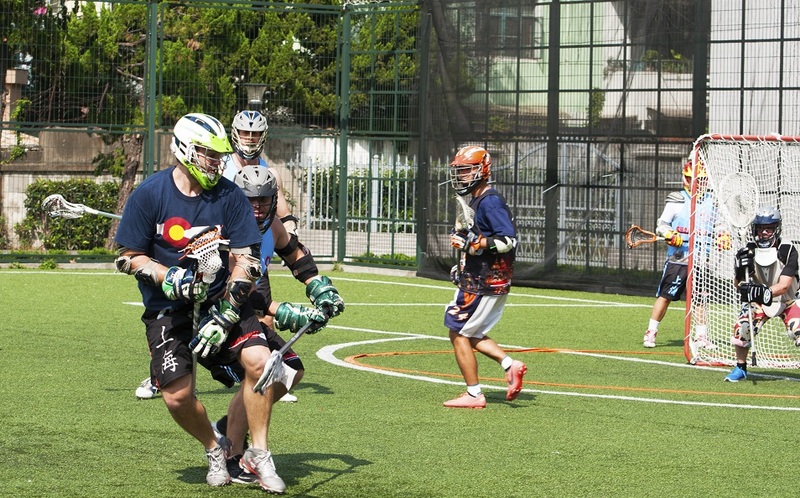 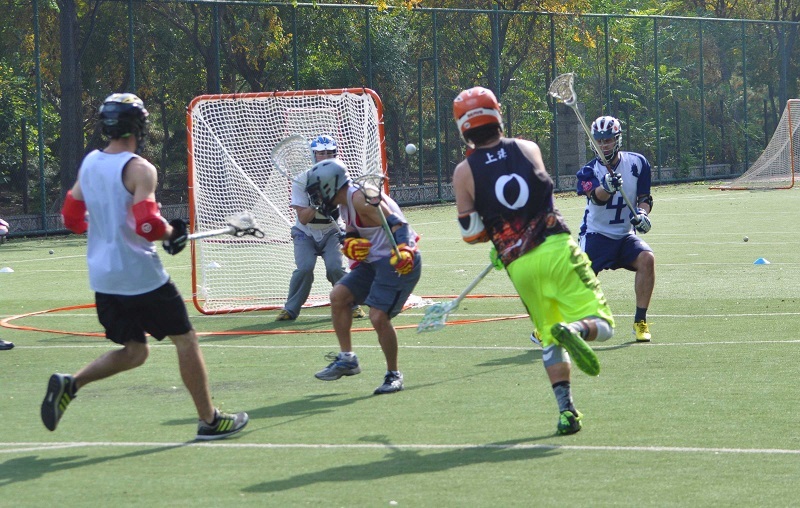 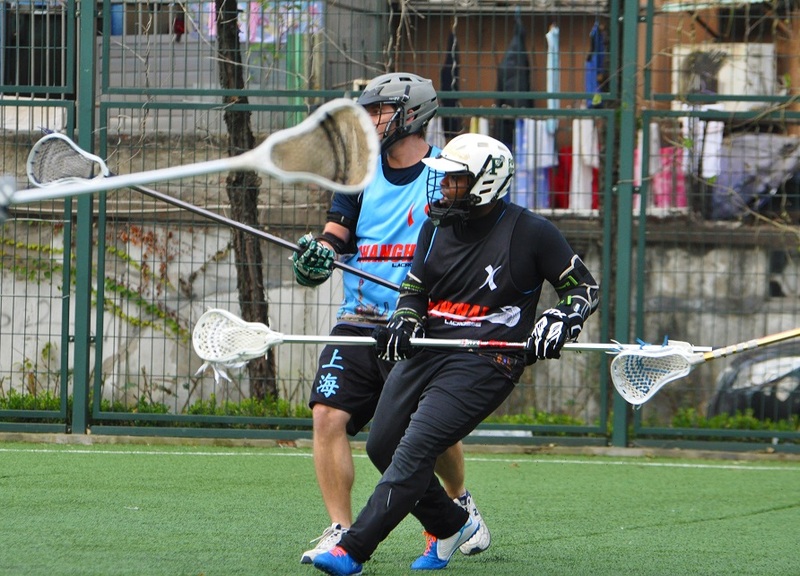 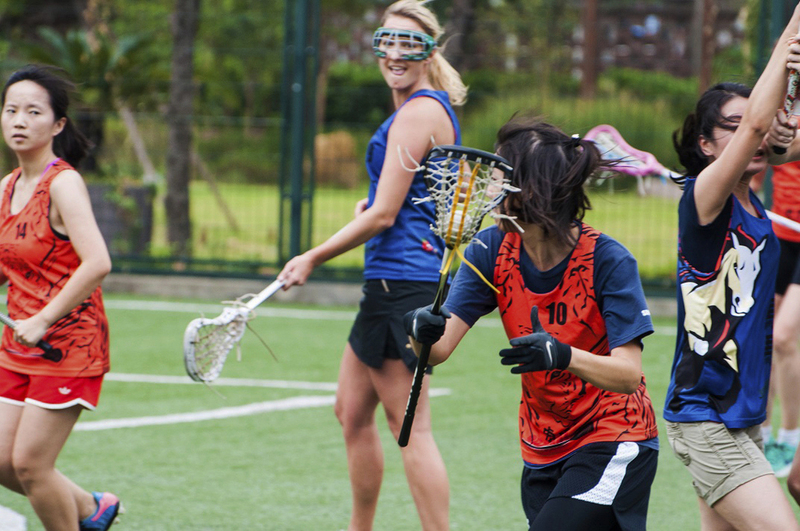 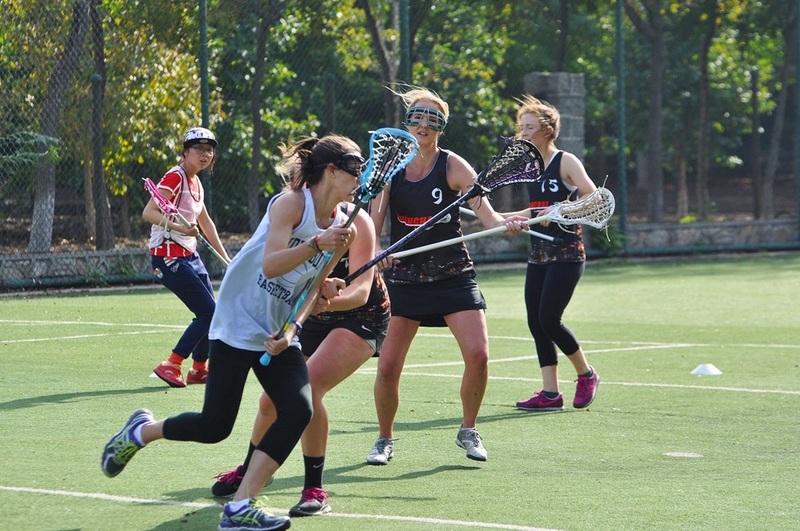 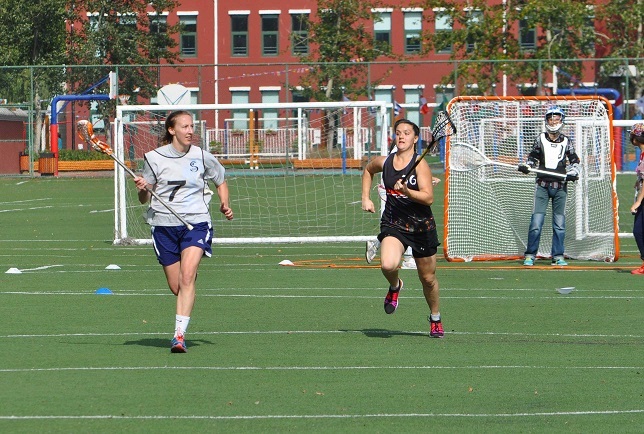 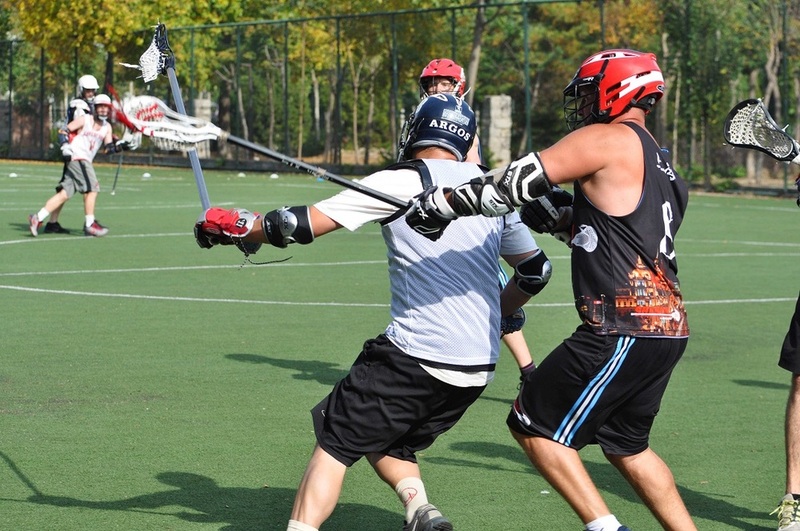 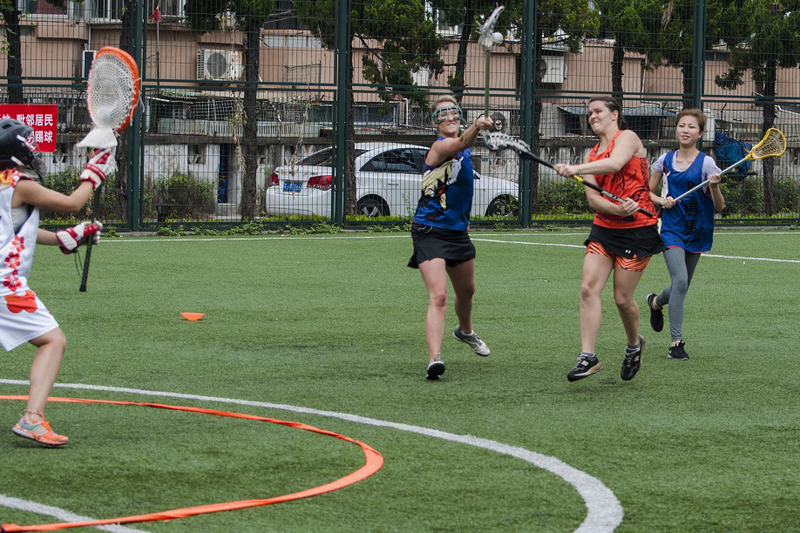 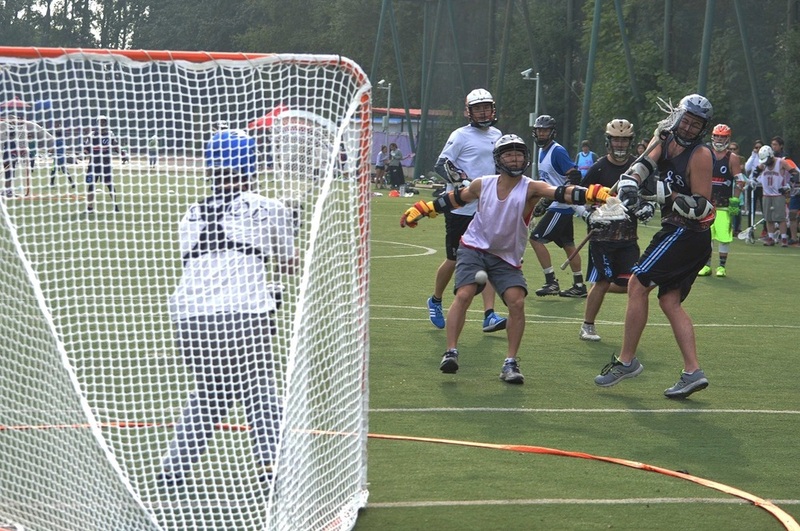 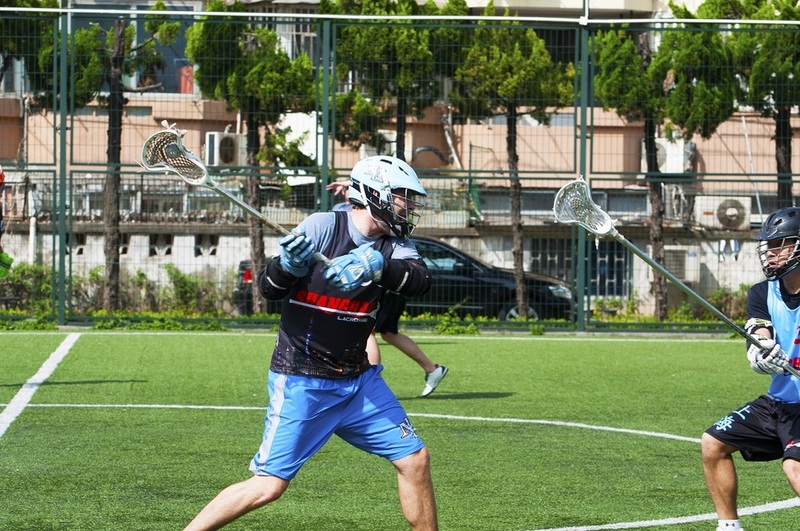 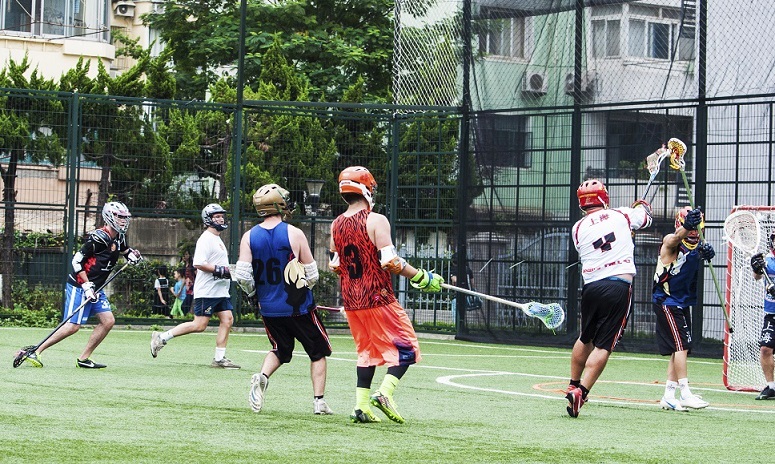 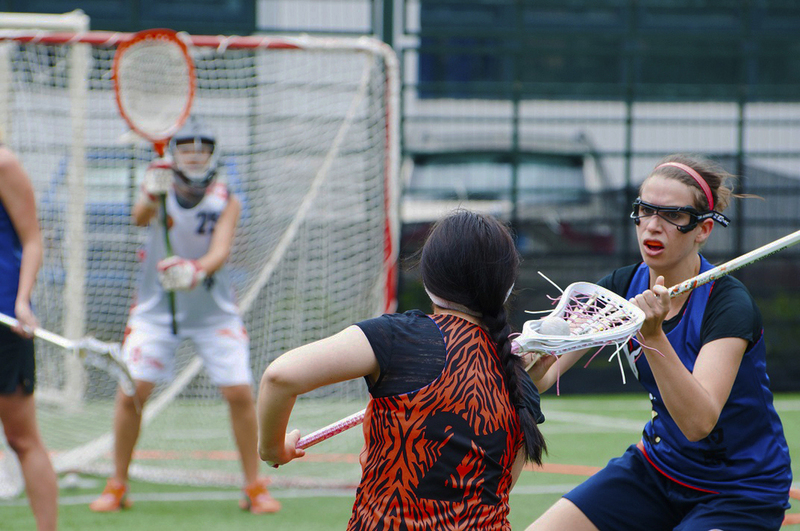 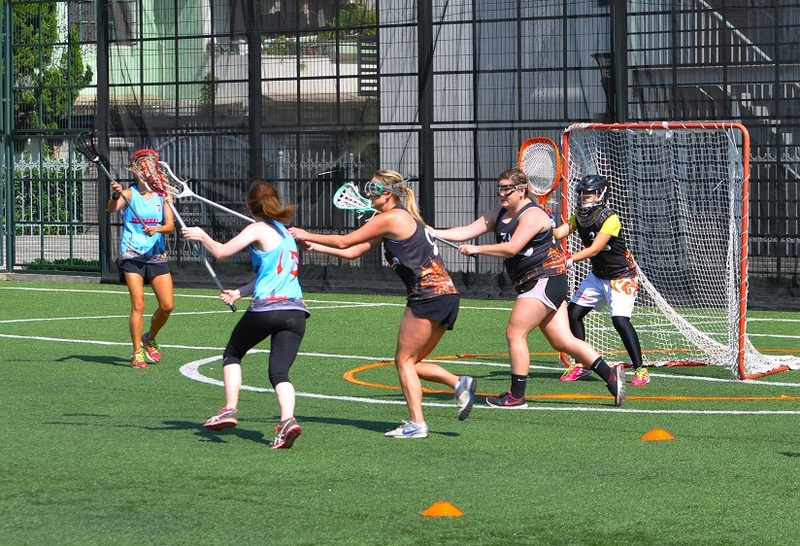 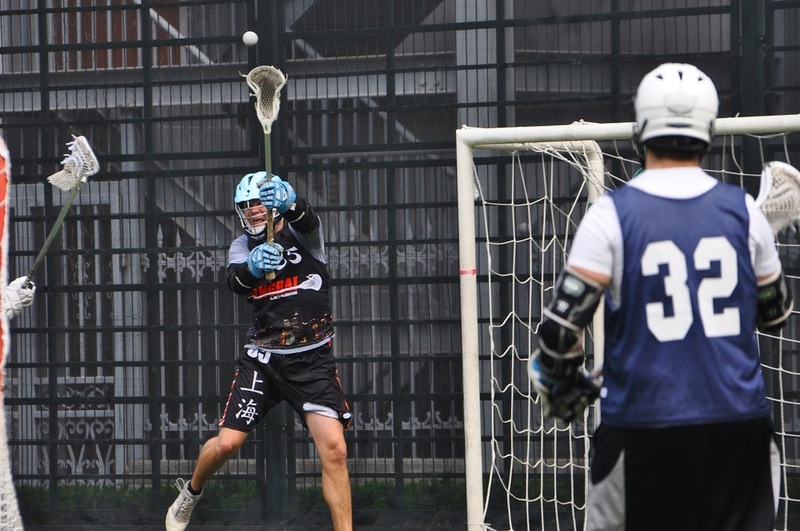 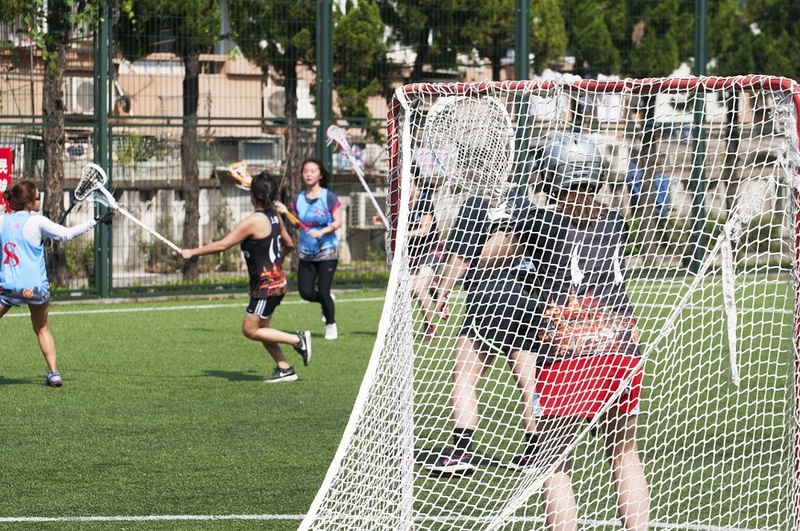 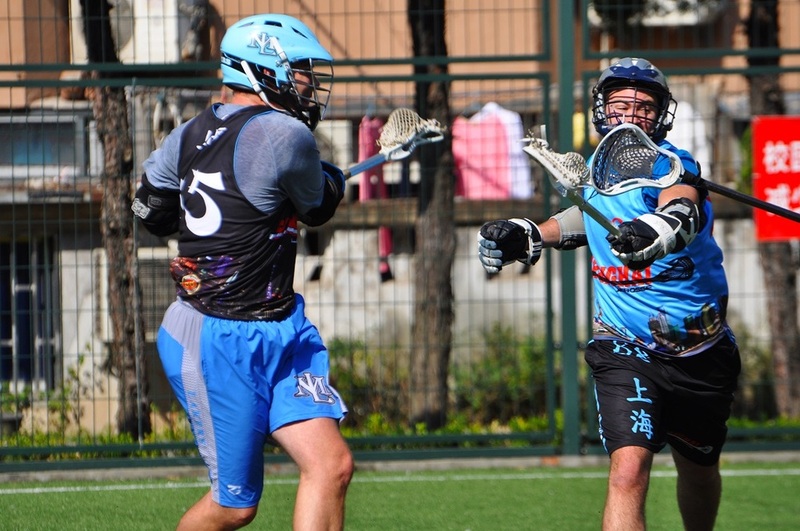 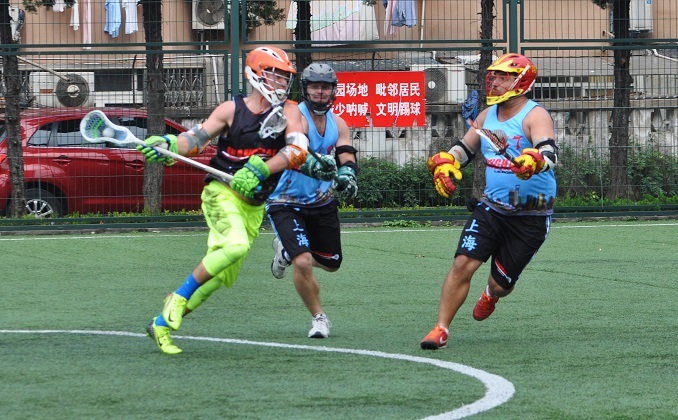 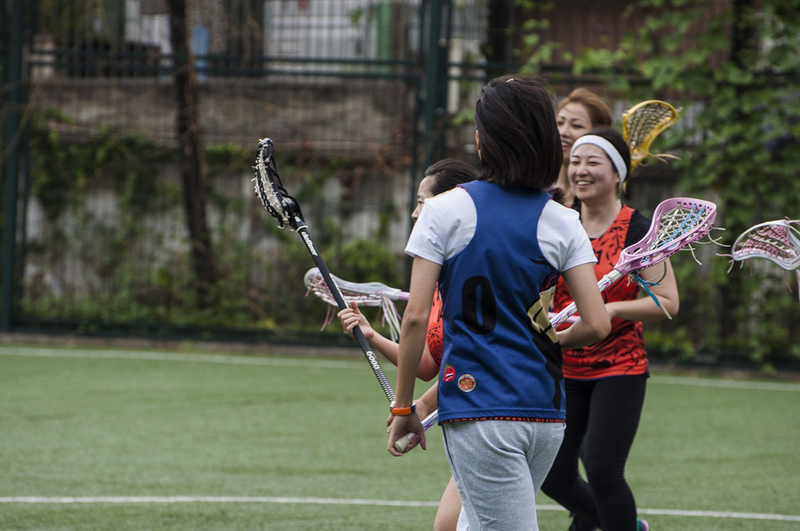 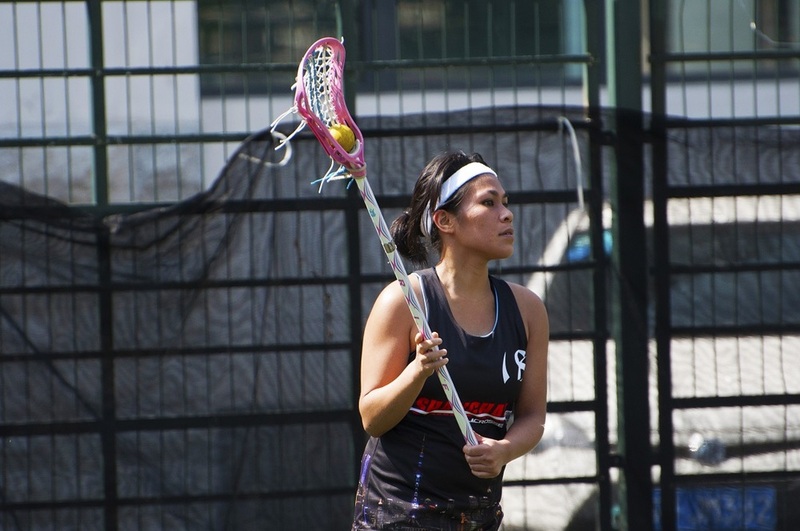 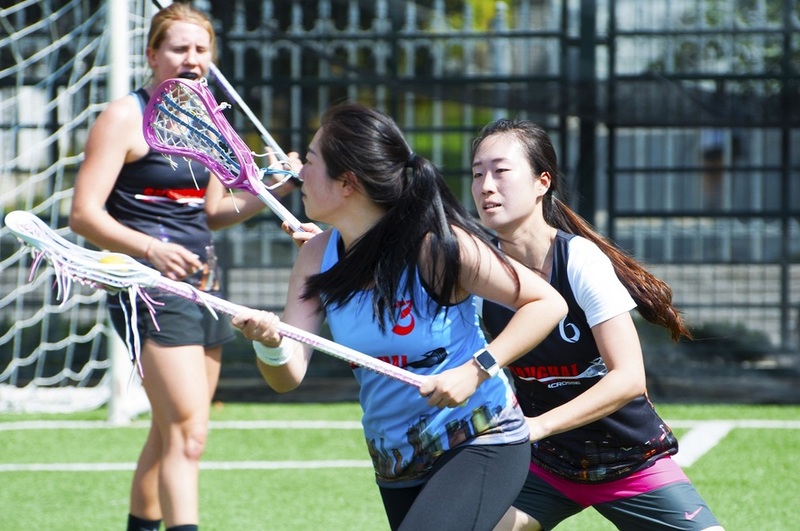 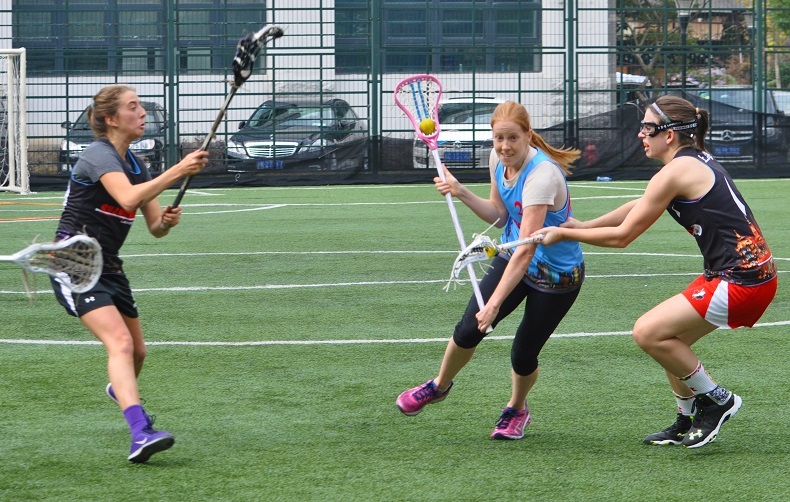 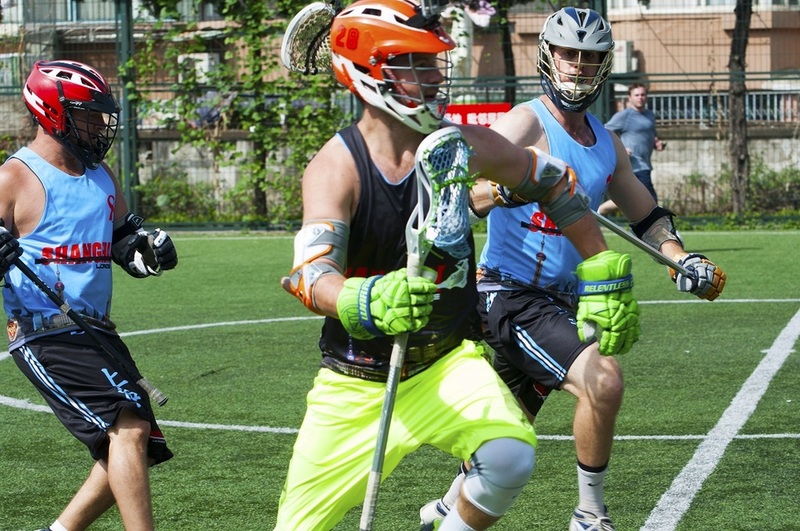 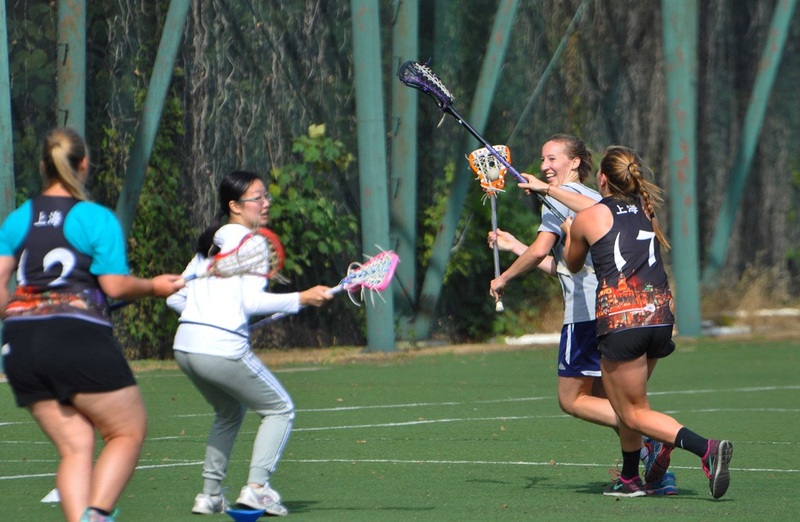 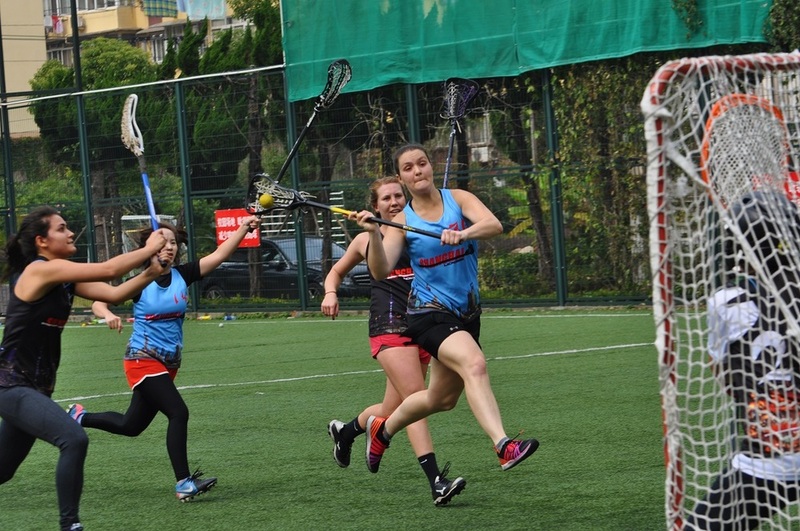 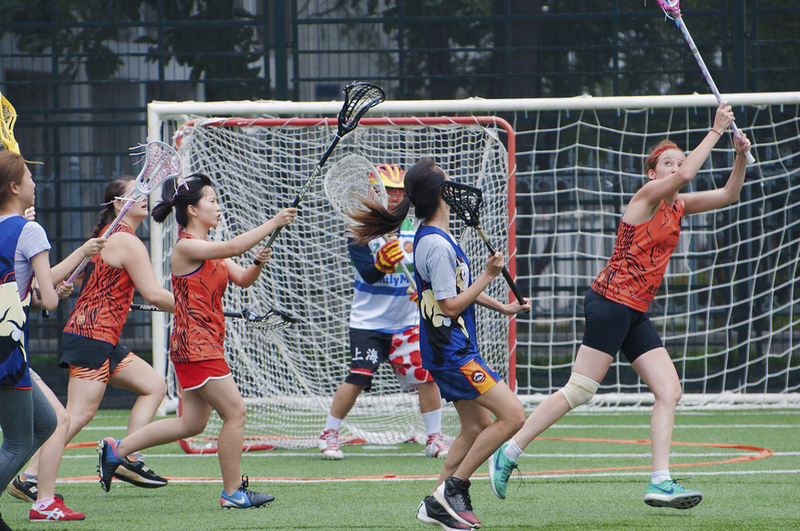 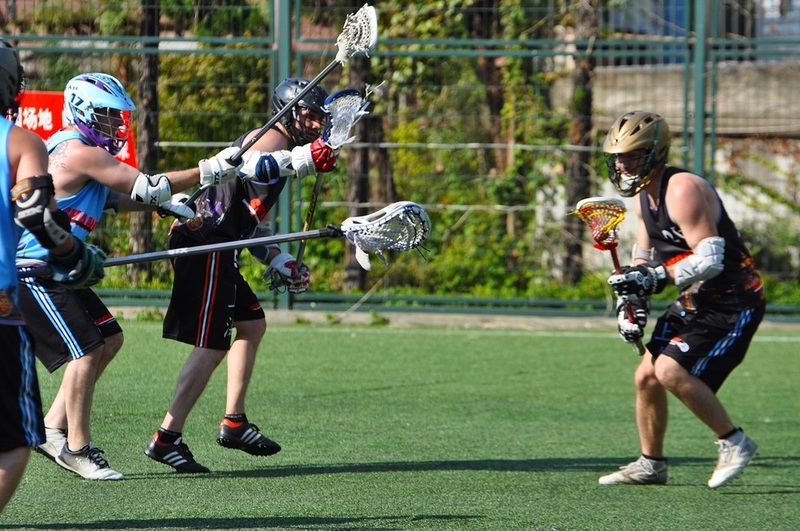 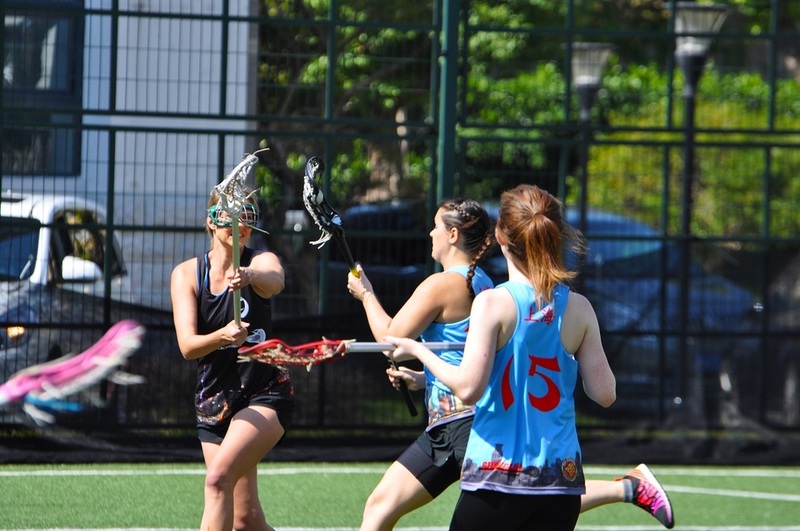 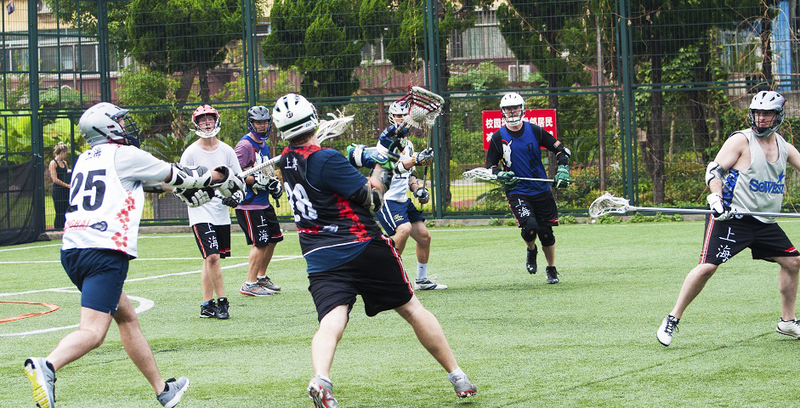 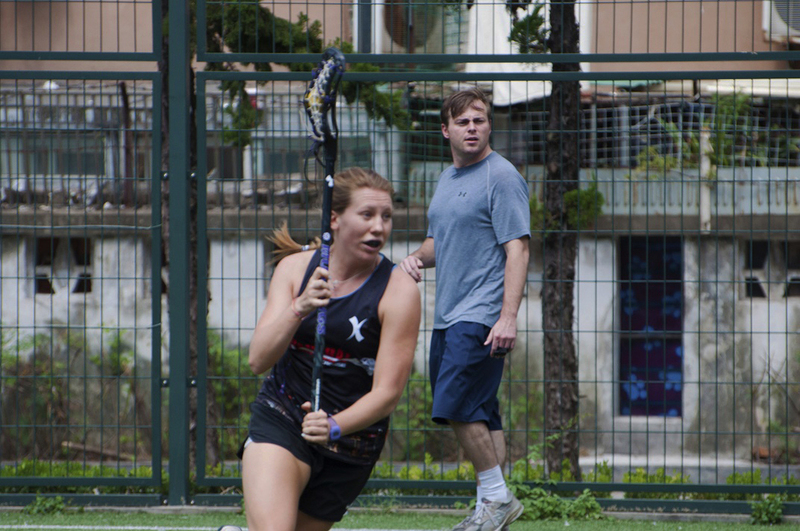 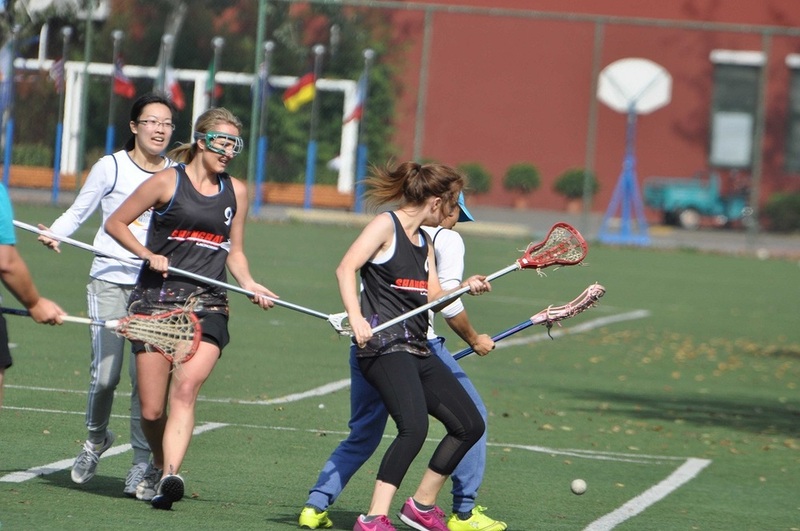 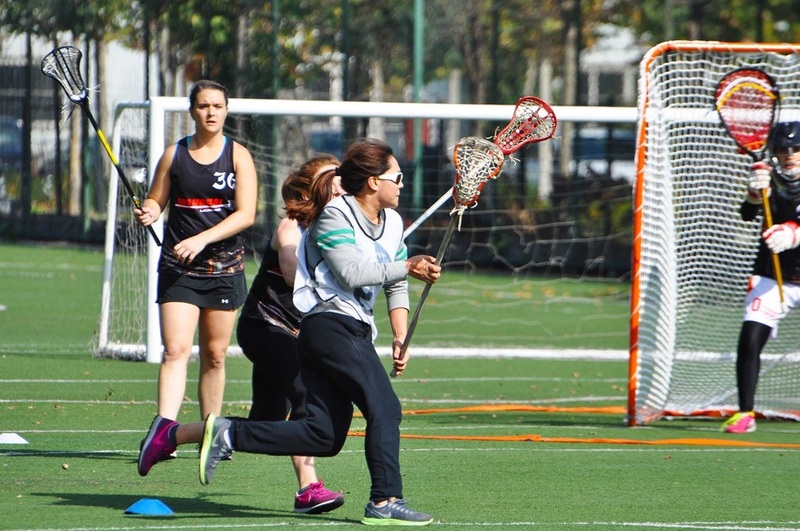 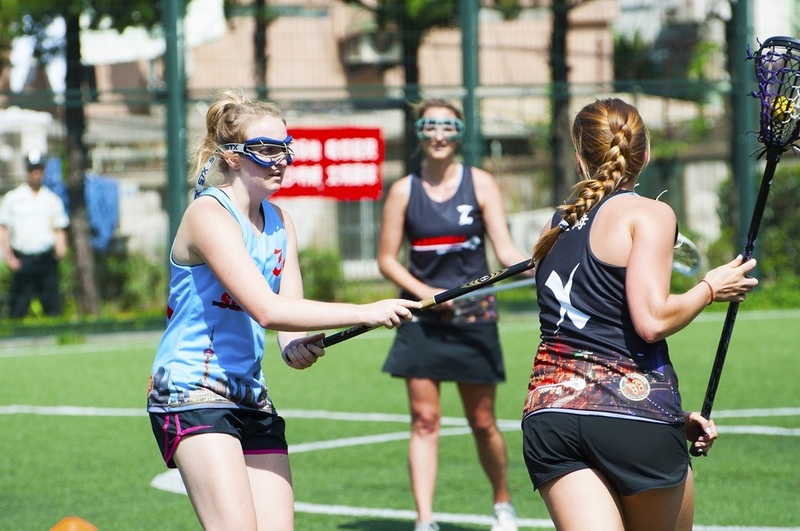 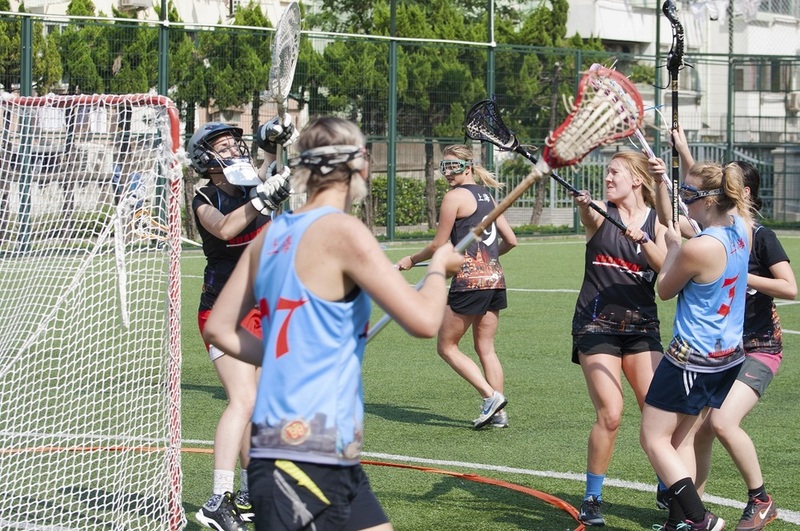 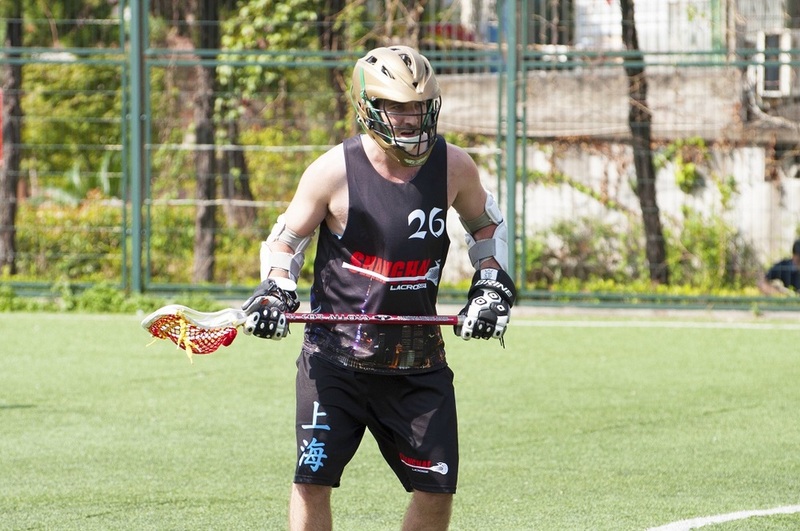 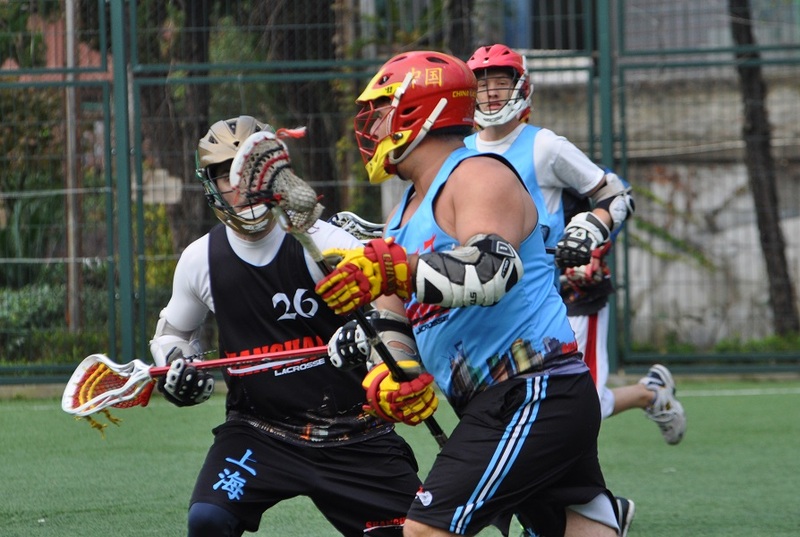 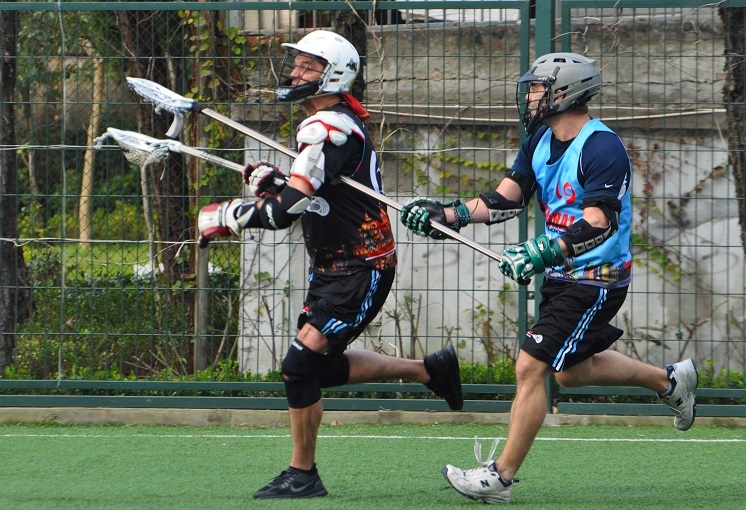 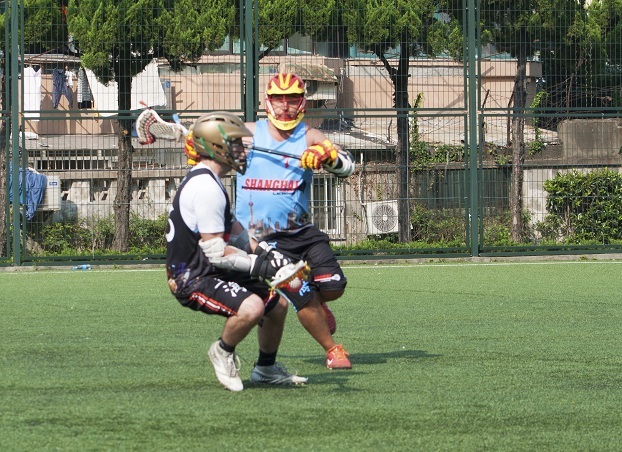 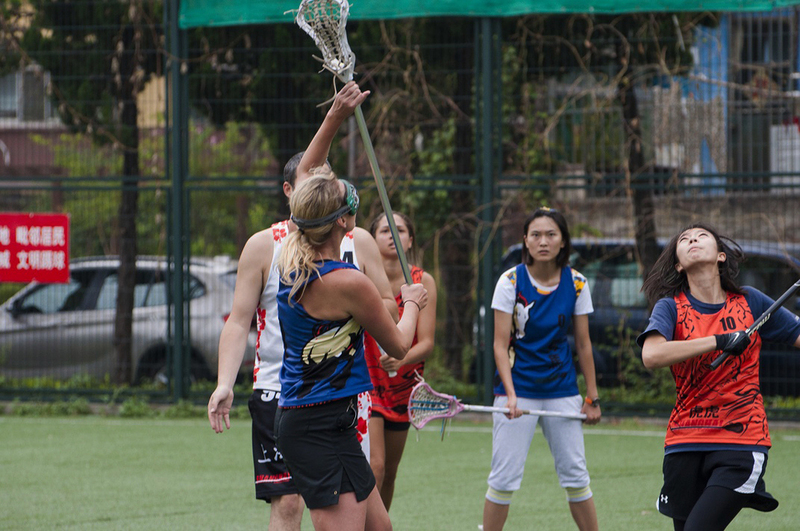 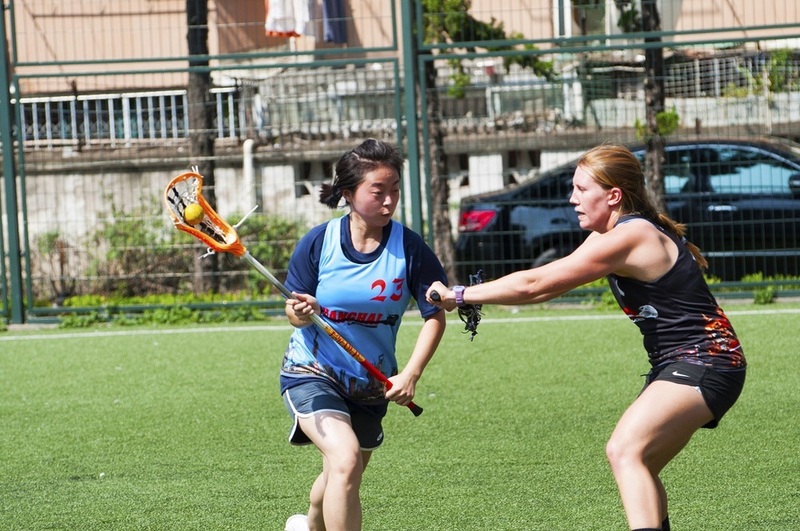 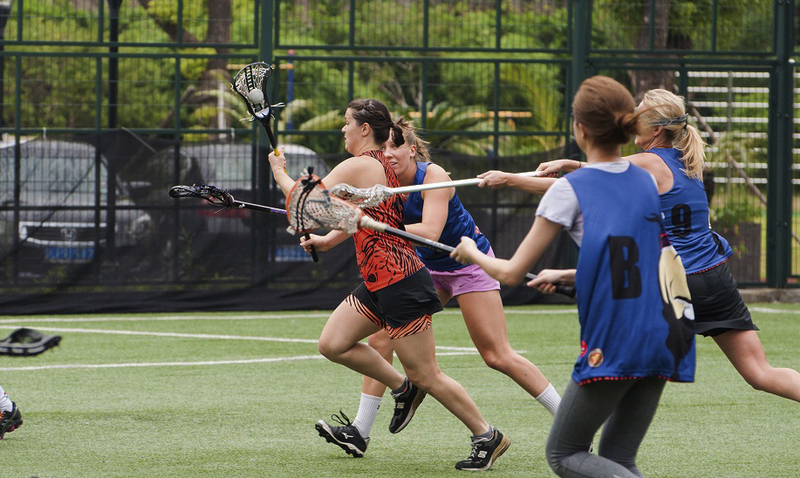 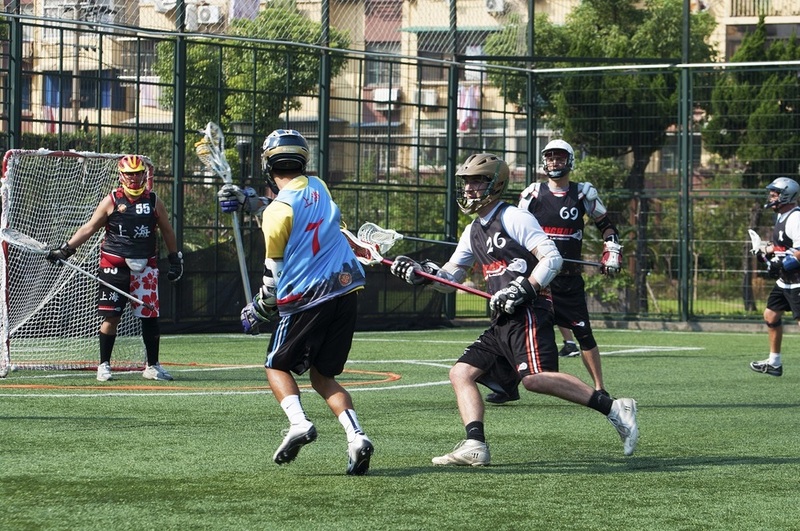 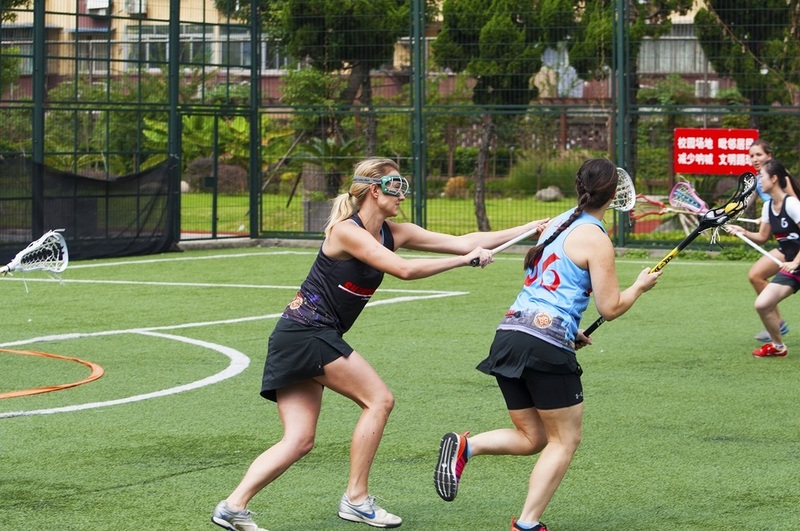 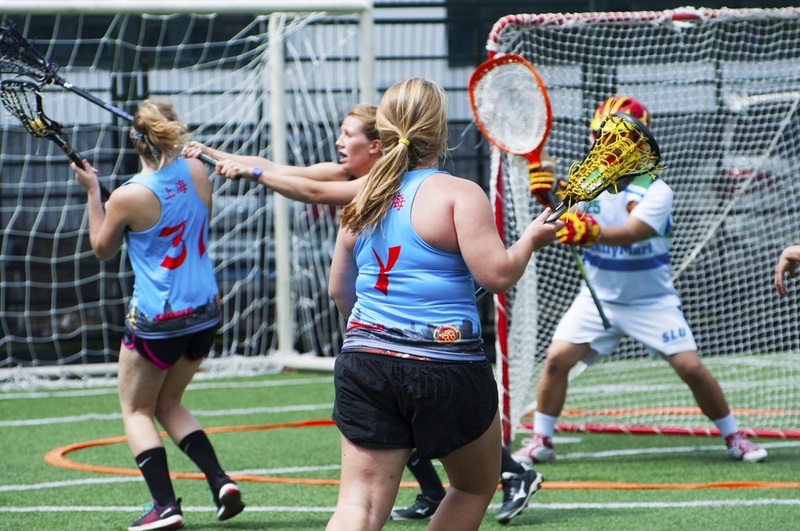 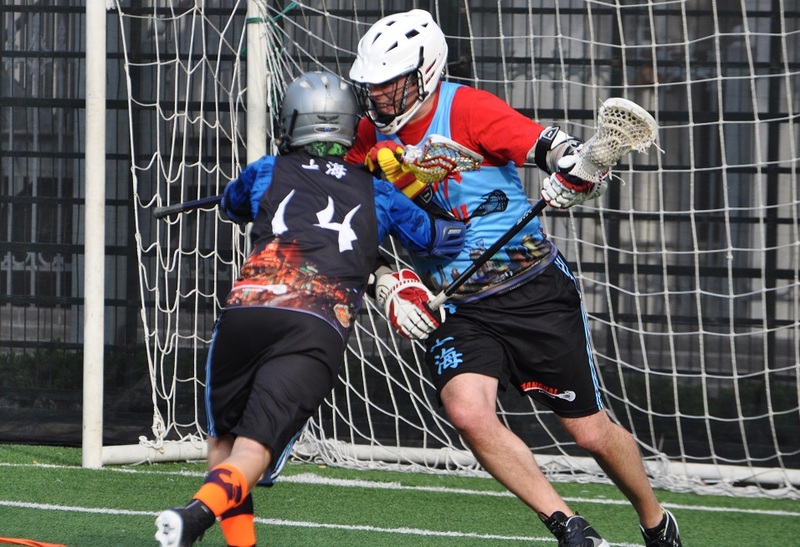 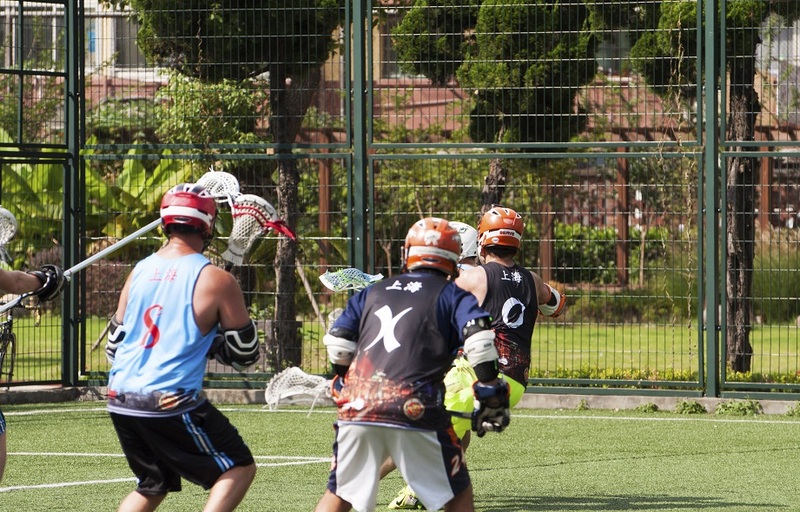 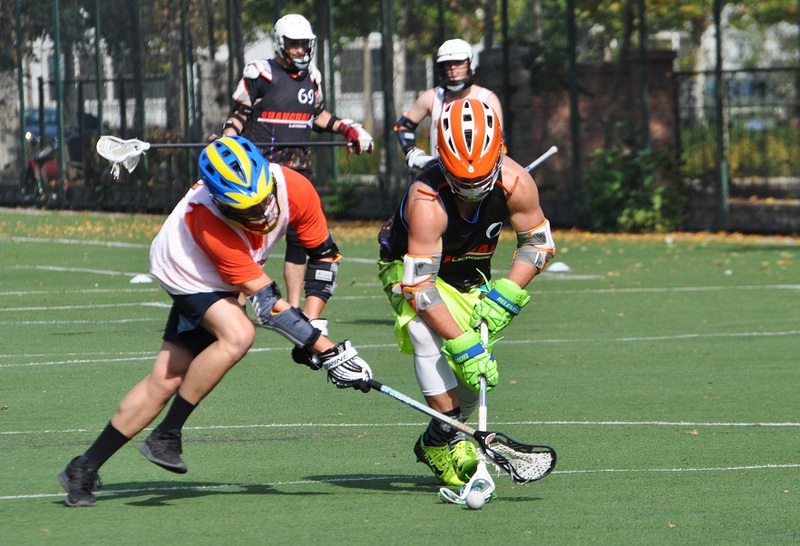 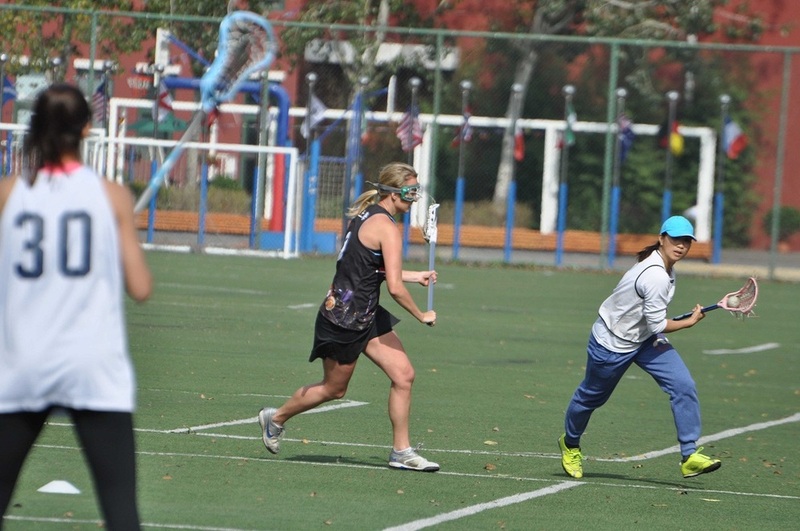 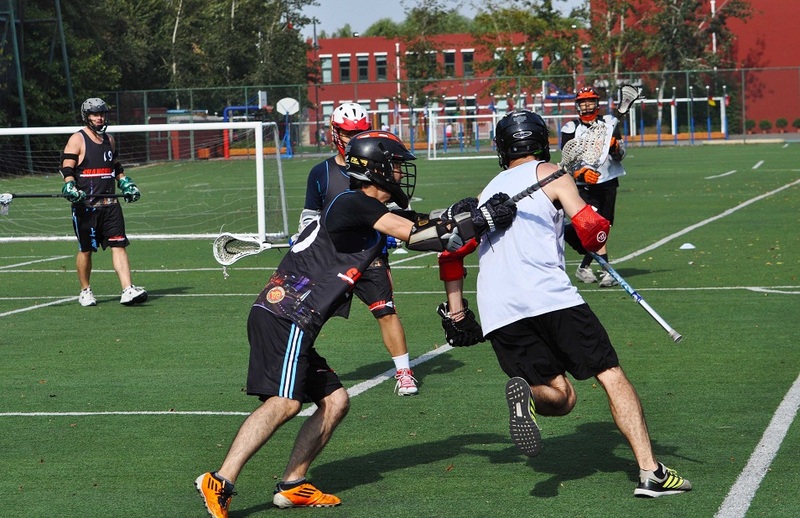 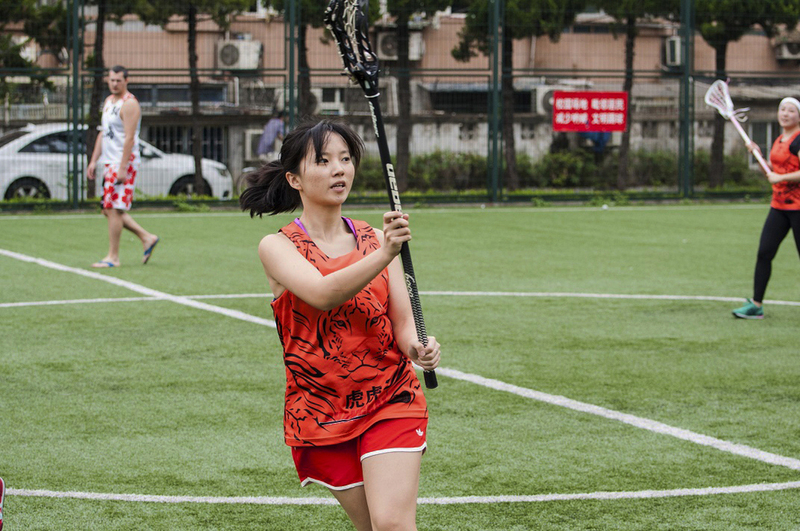 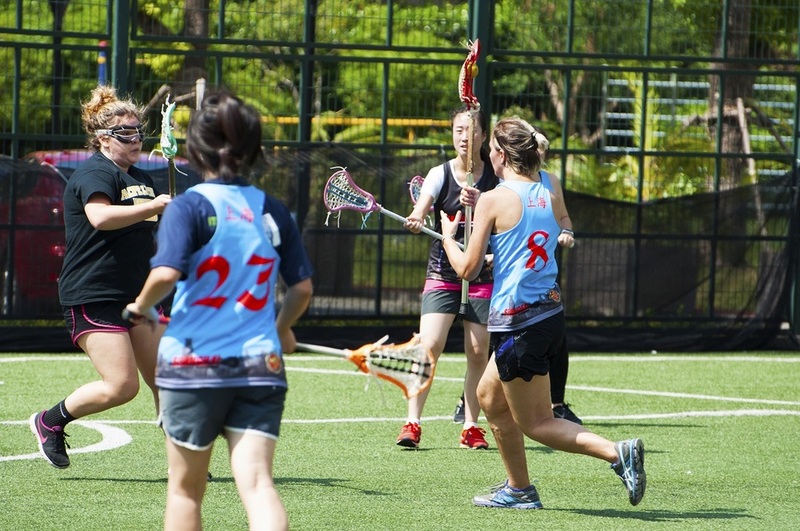 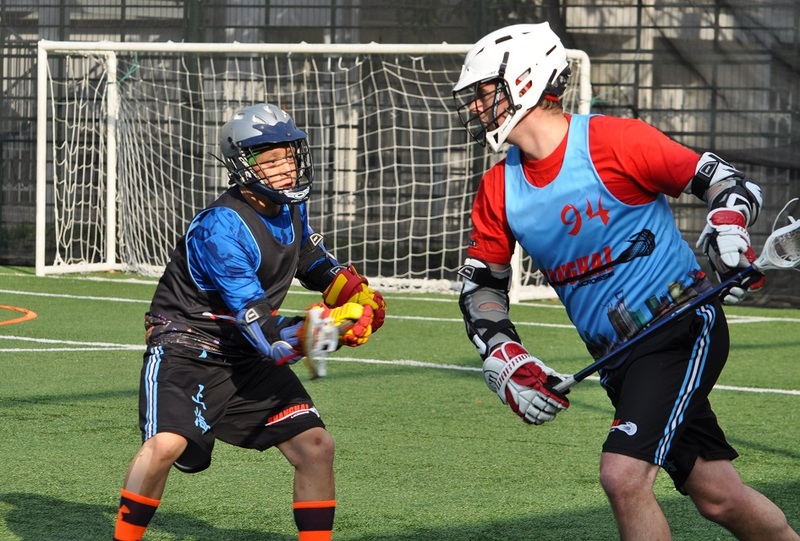 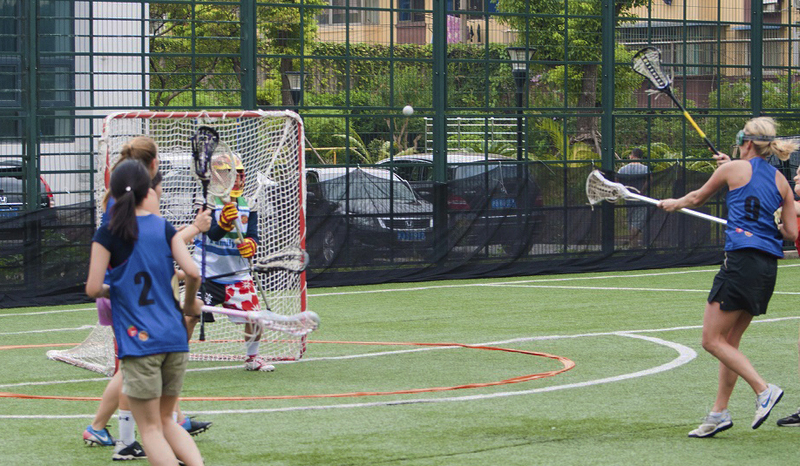 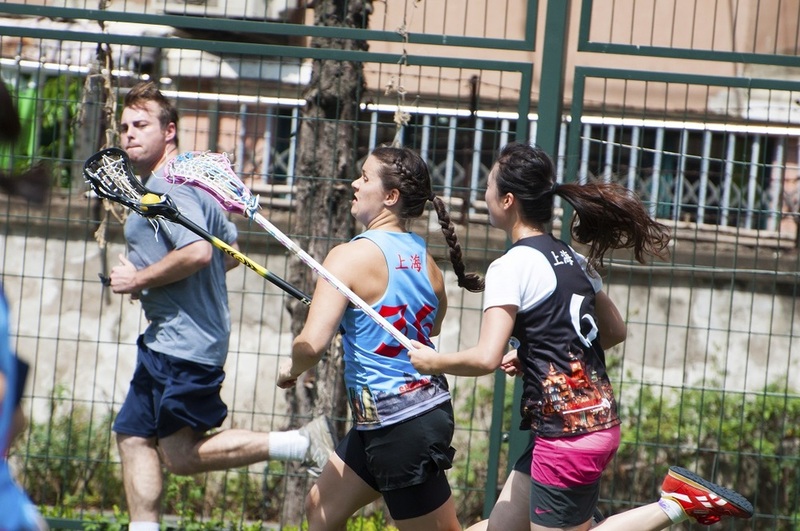 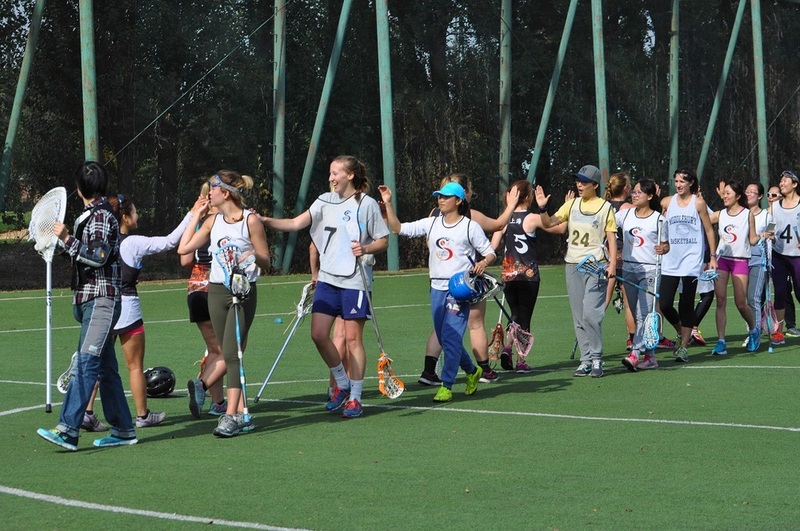 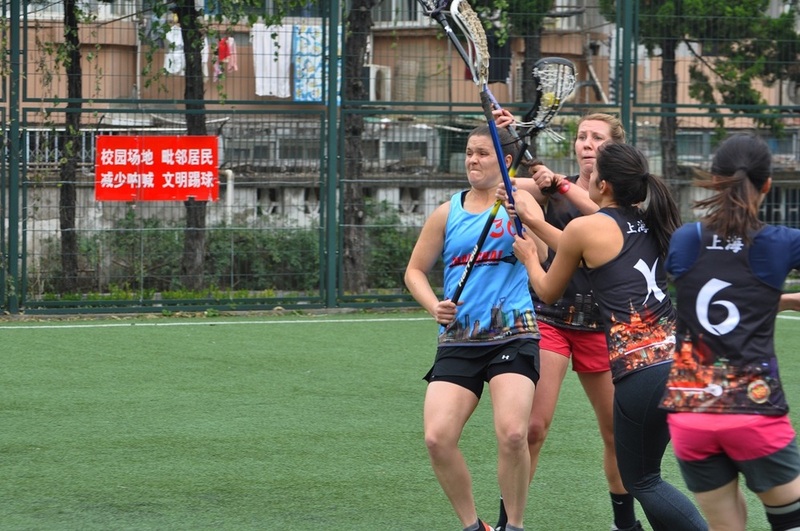 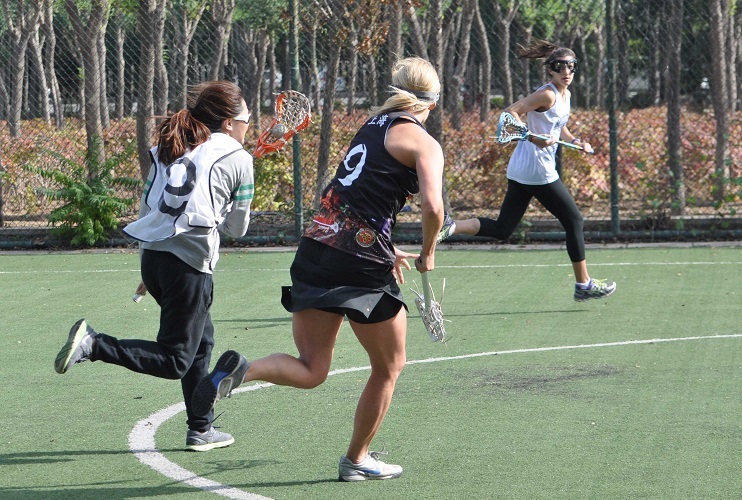 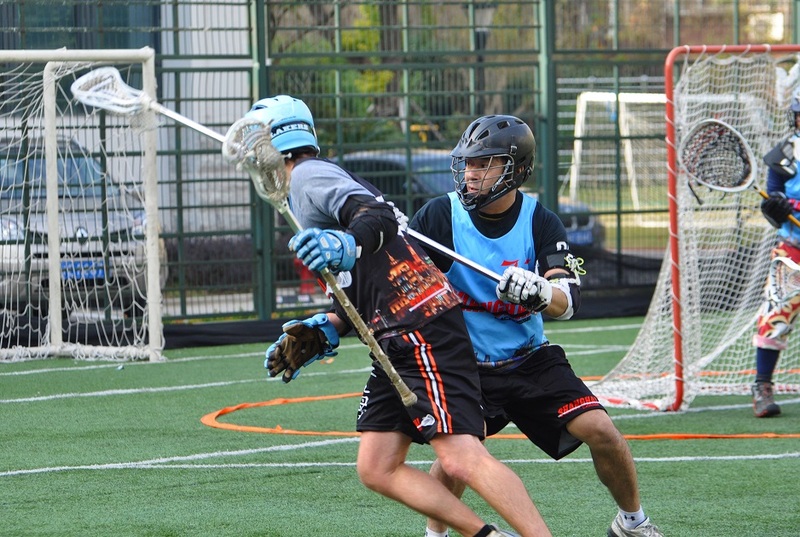 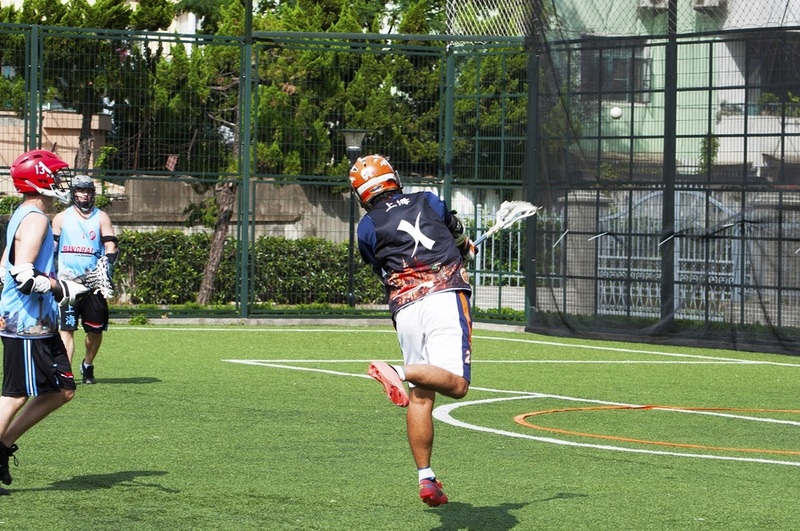 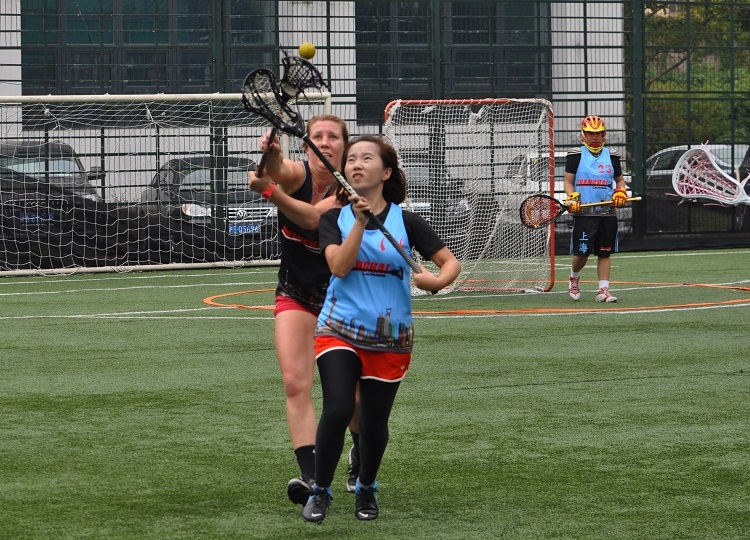 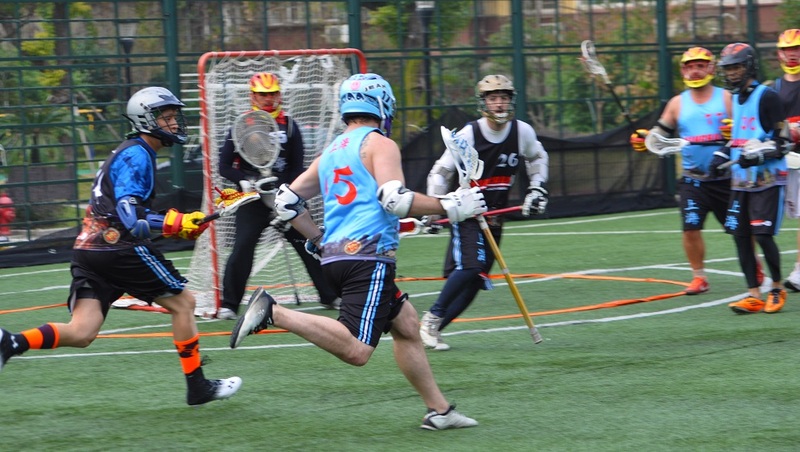 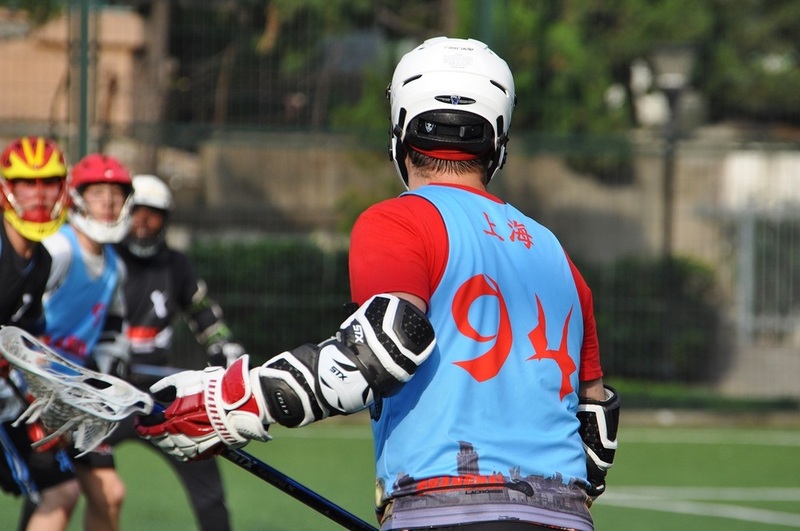 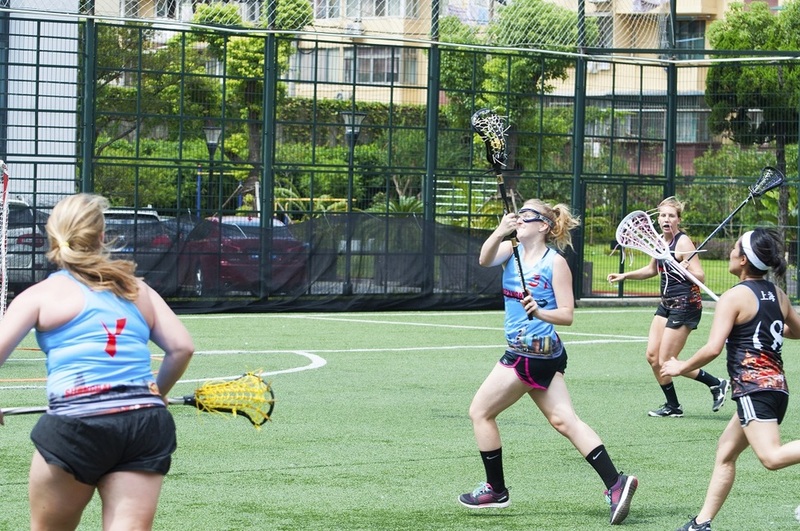 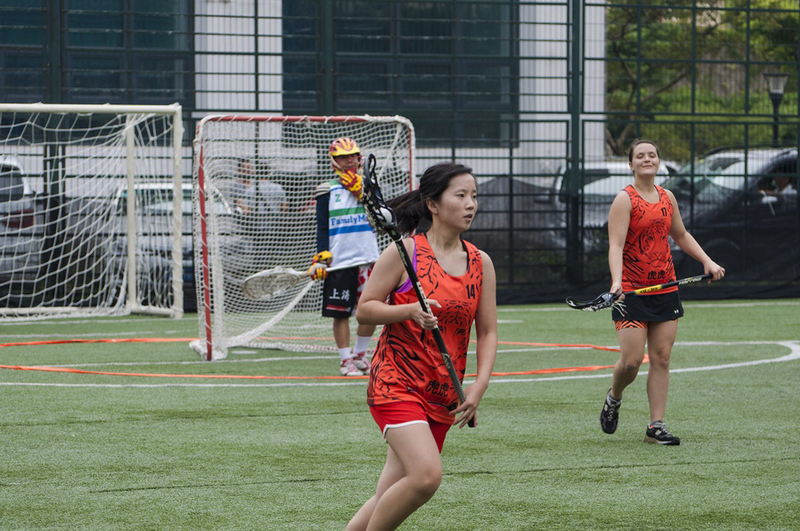 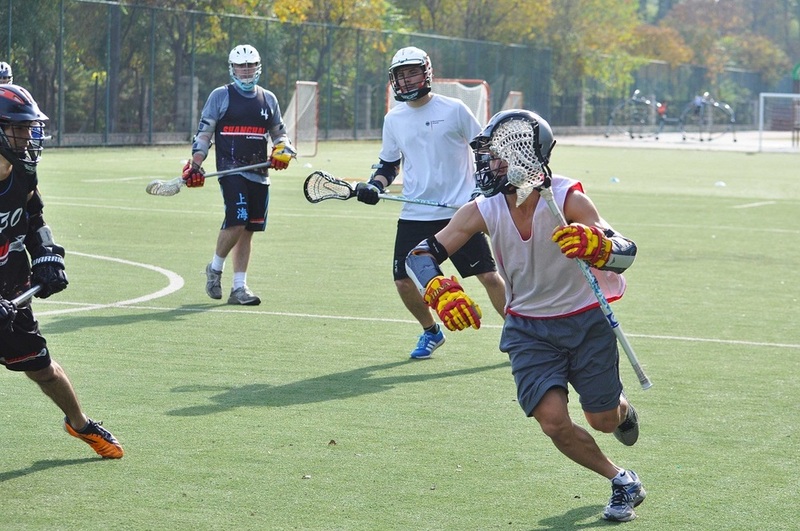 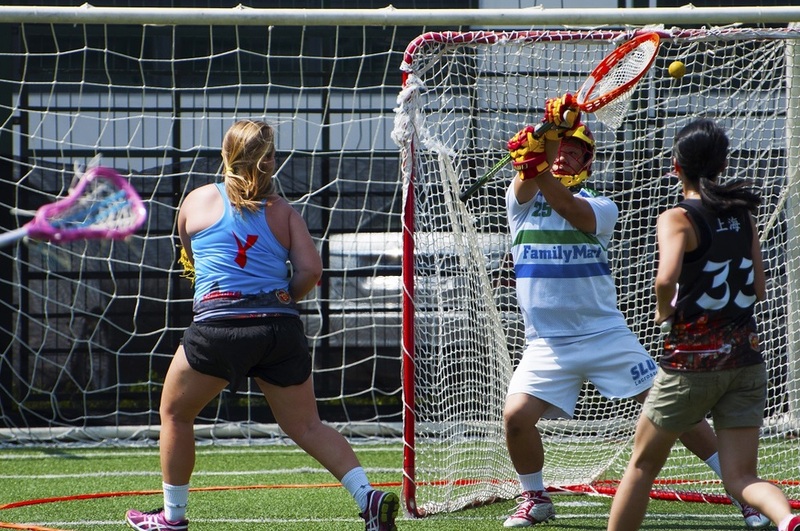 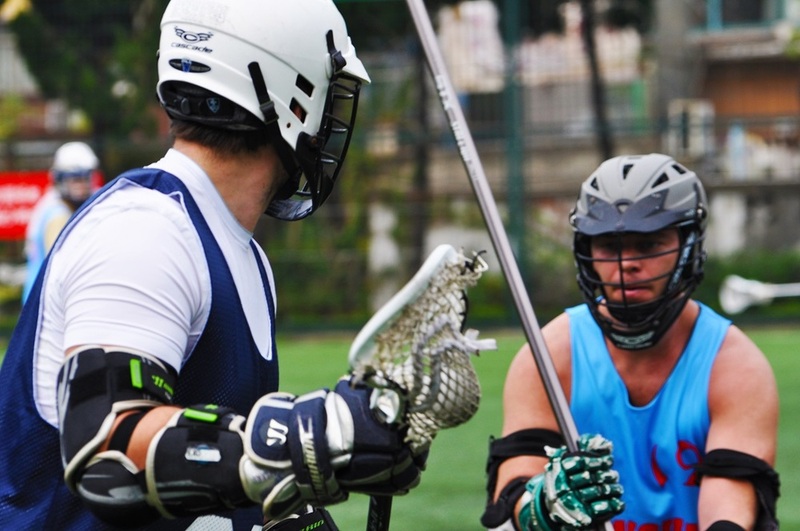 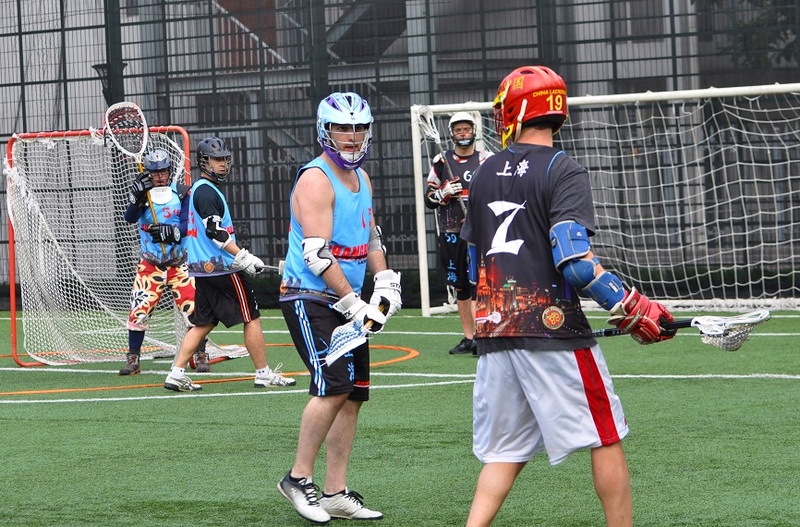 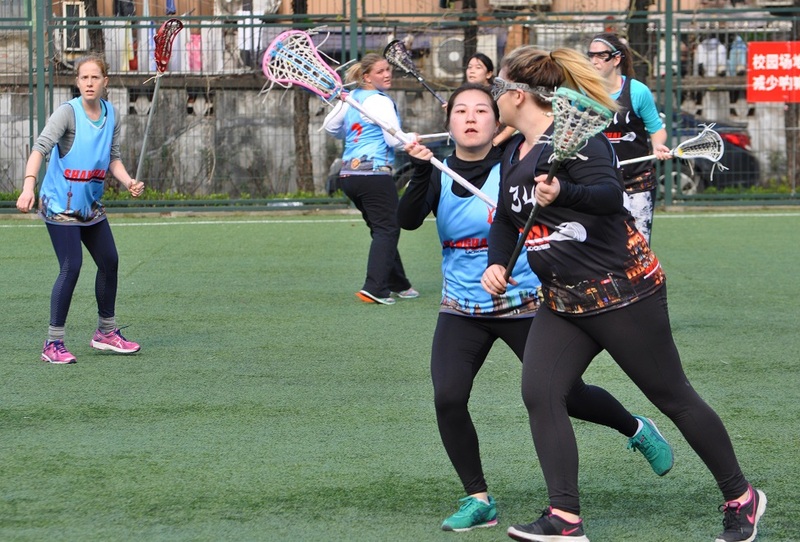 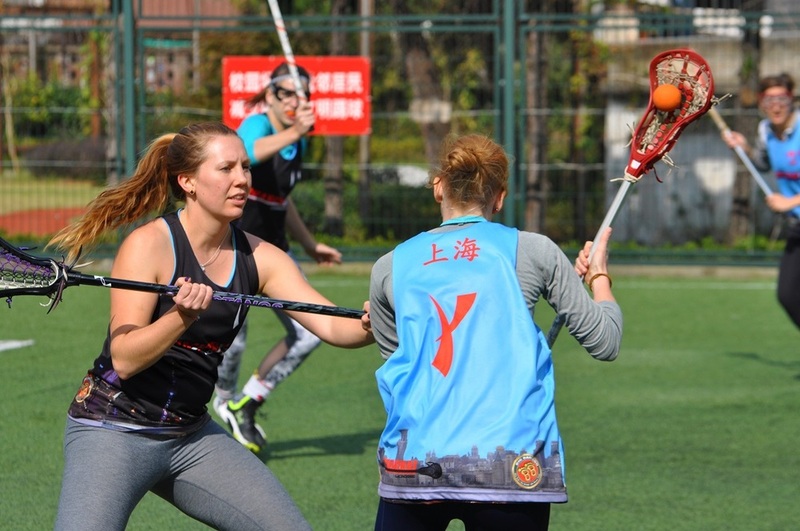 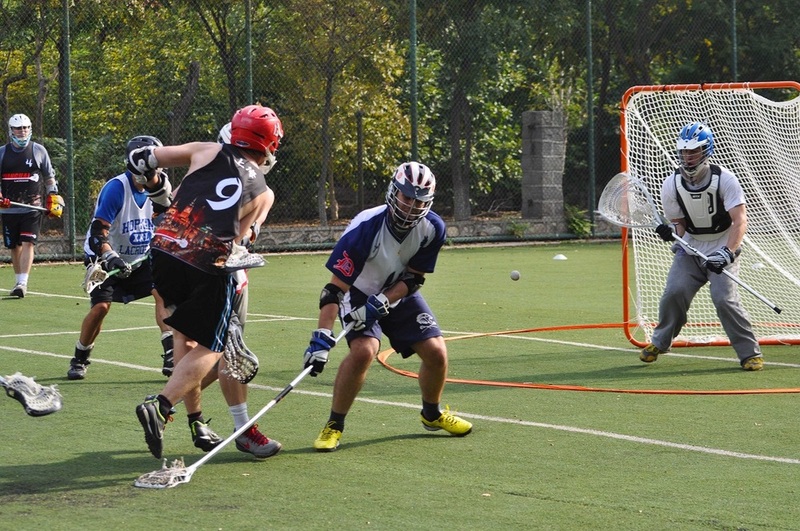 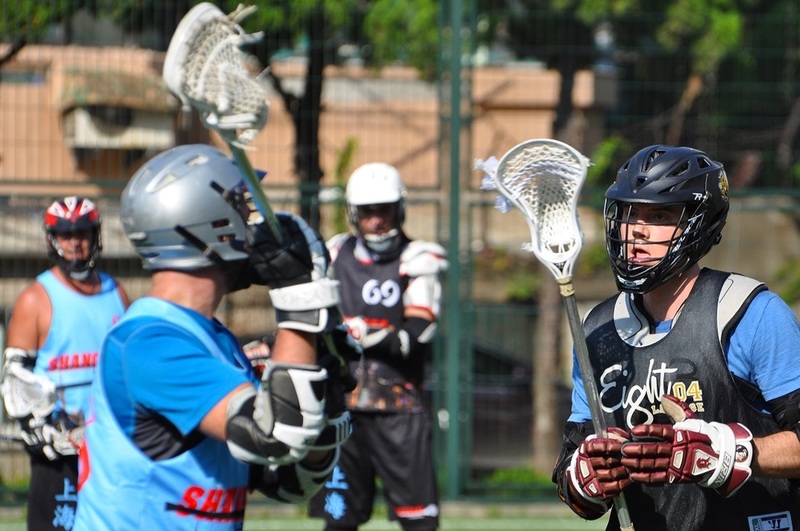 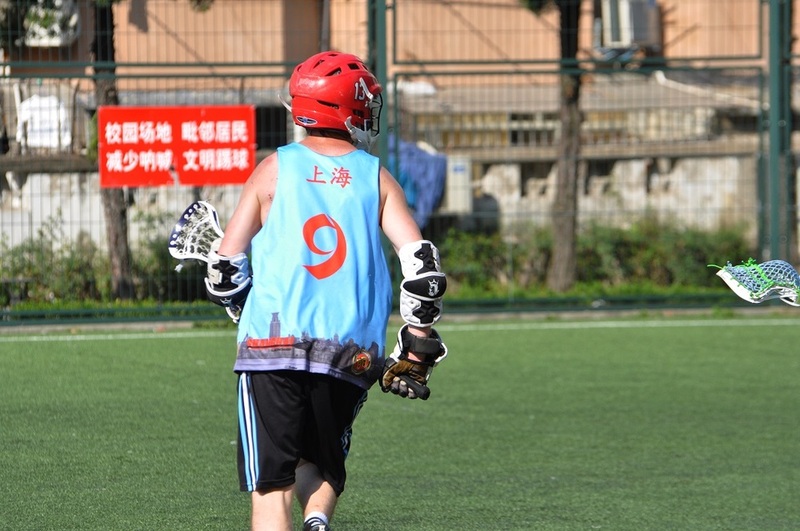 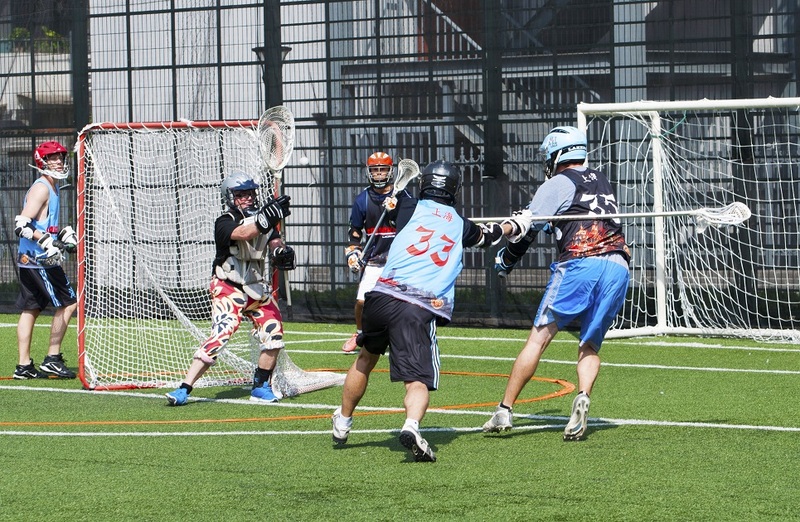 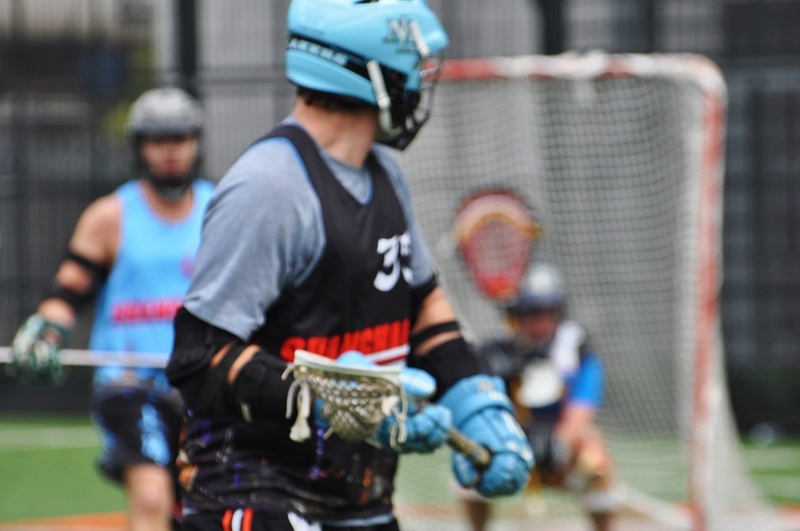 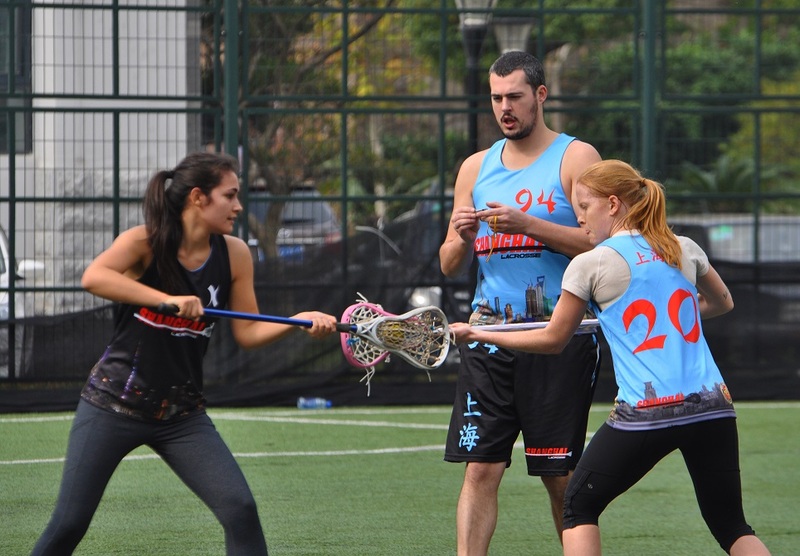 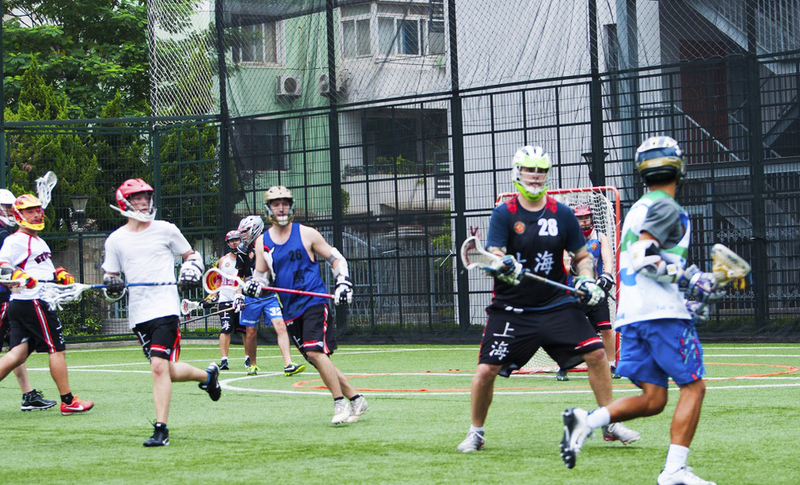 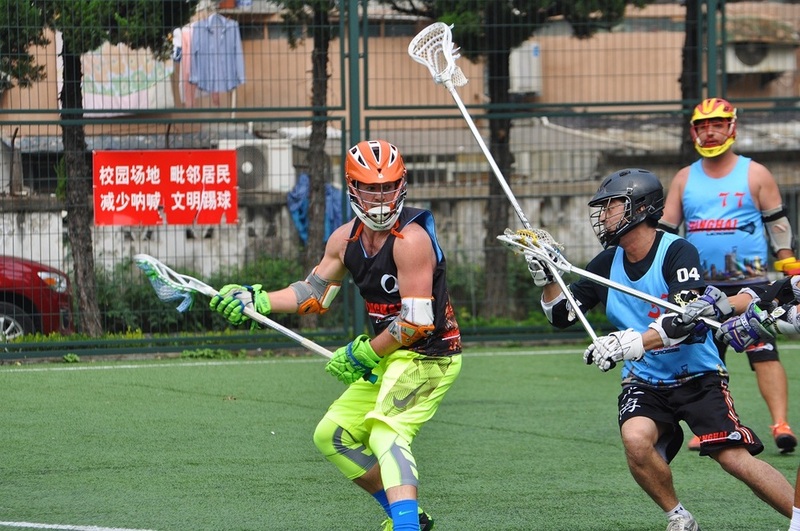 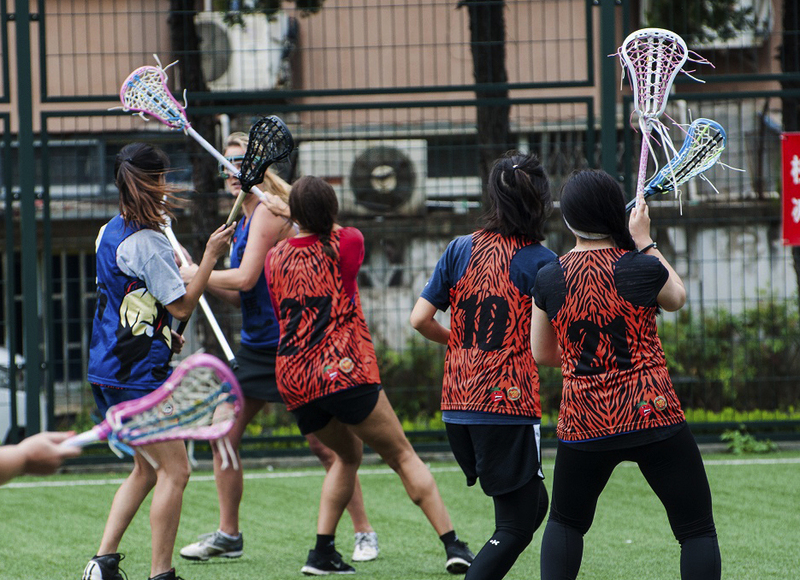 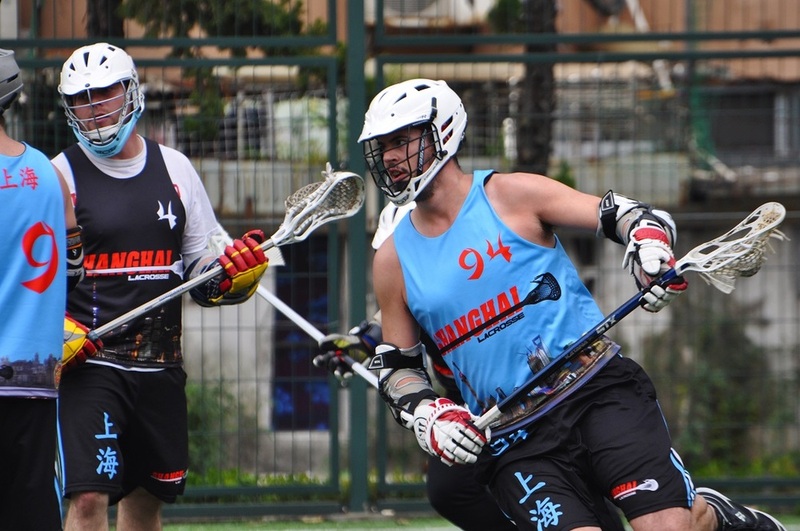 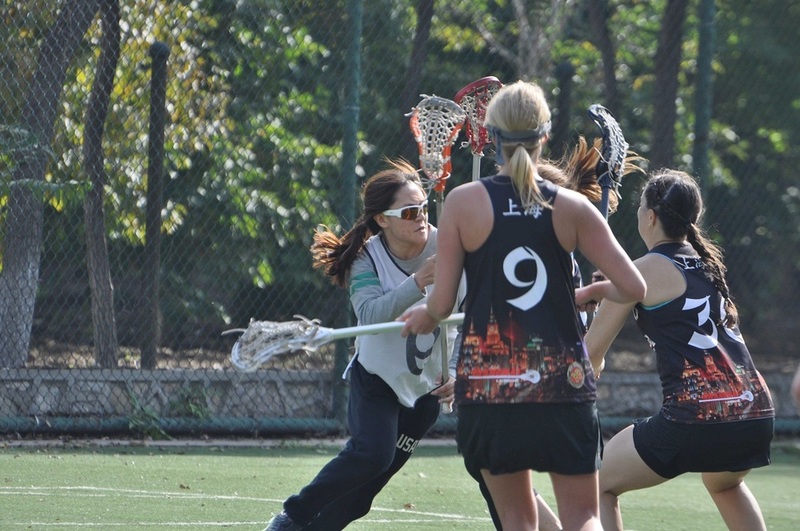 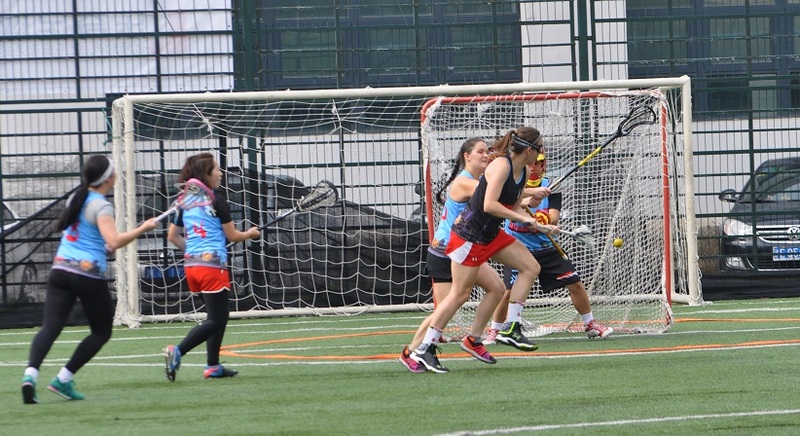 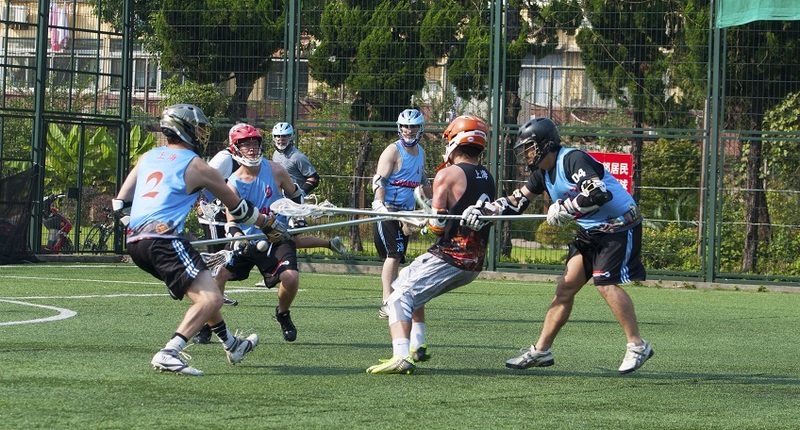 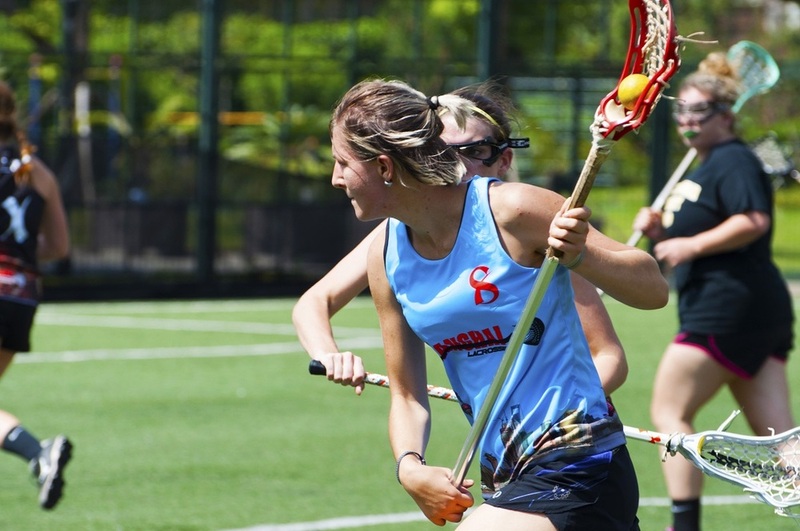 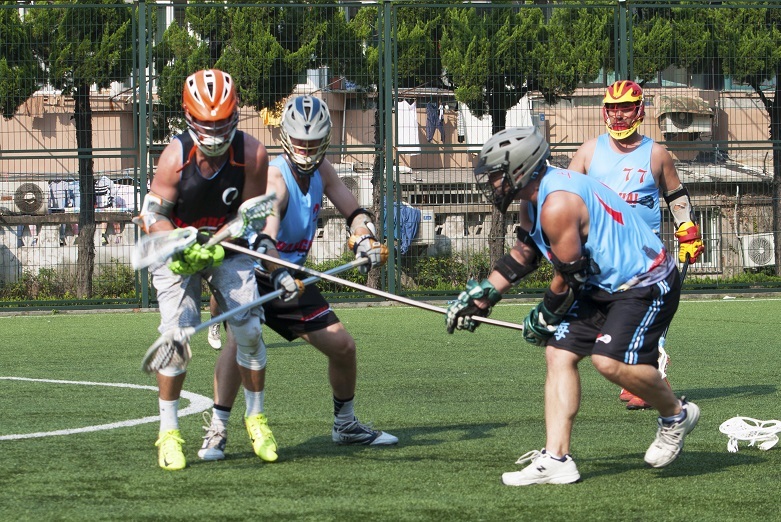 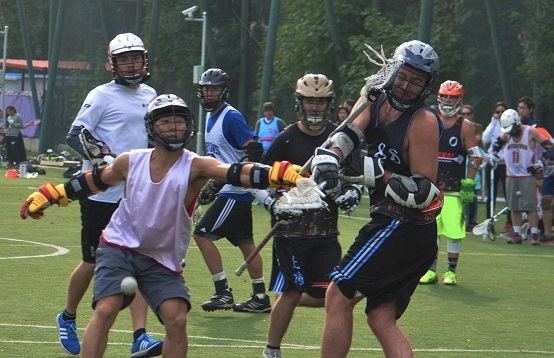 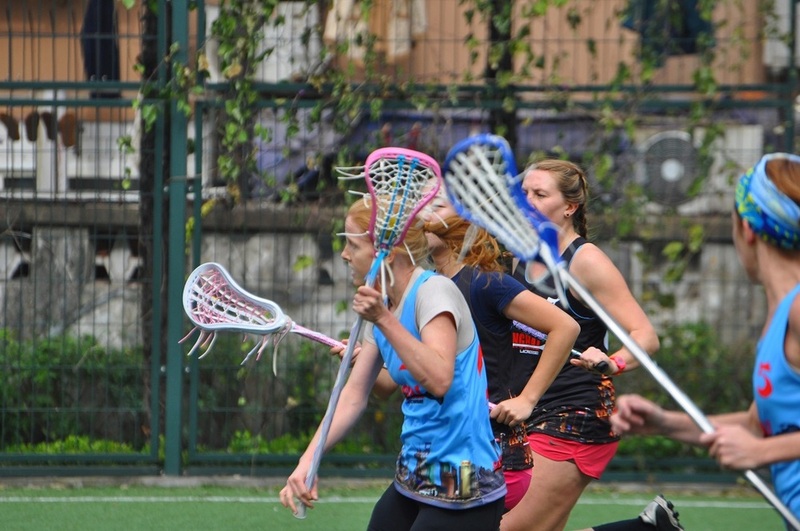 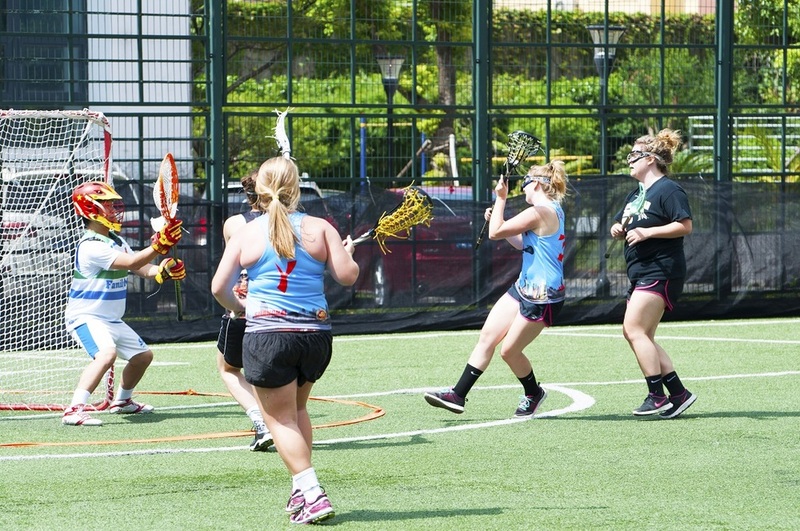 The first official foul in Shanghai Women’s Field Lacrosse history was called this weekend by referee Doug Delange. 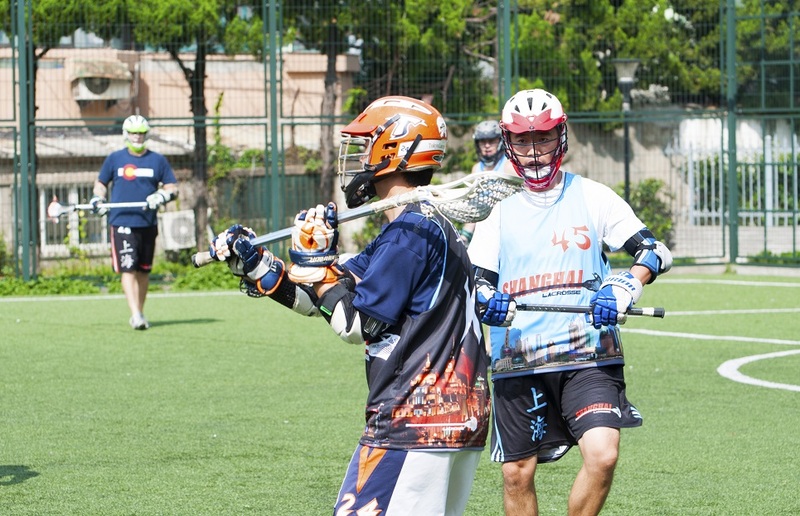 Next week will be the final game of the season for both teams. 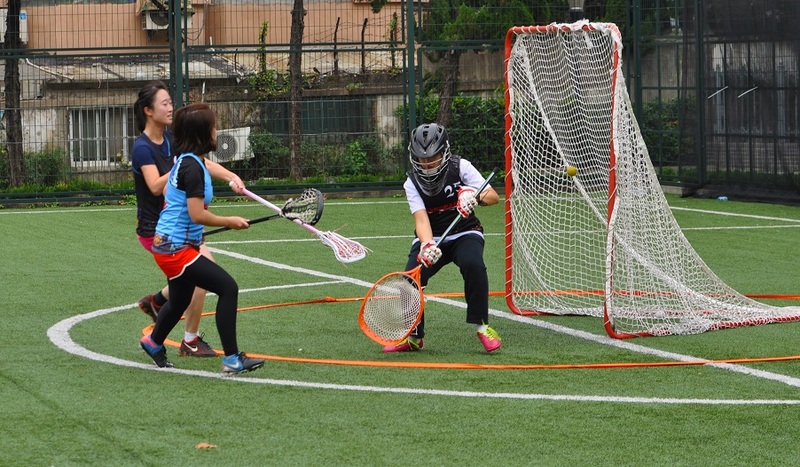 The girls look forward to a highly competitive game. 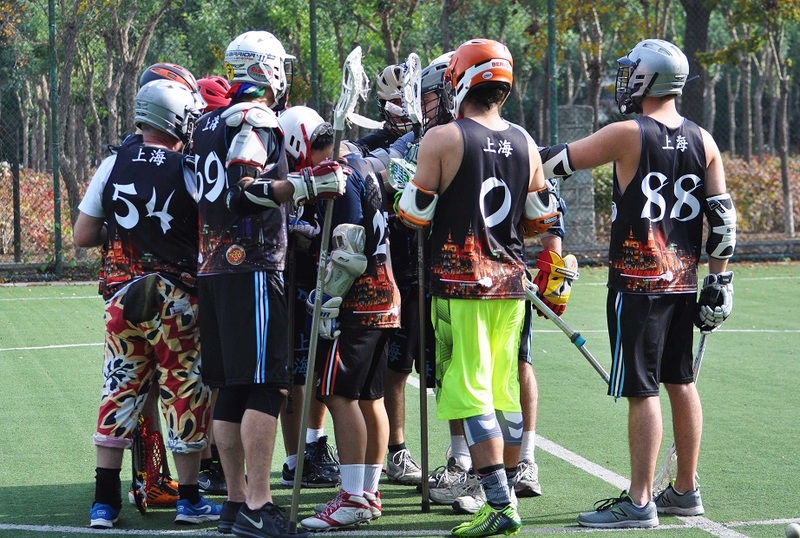 The Tigers will be out for one last chance to beat the Dragons.